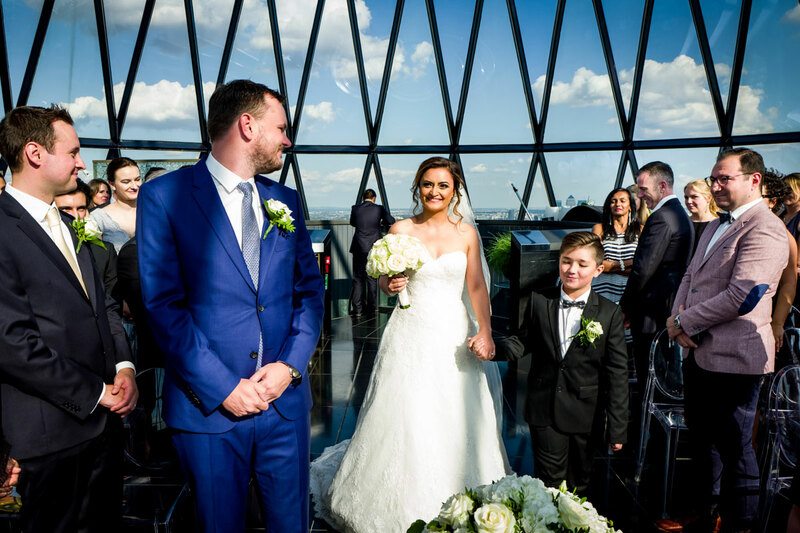 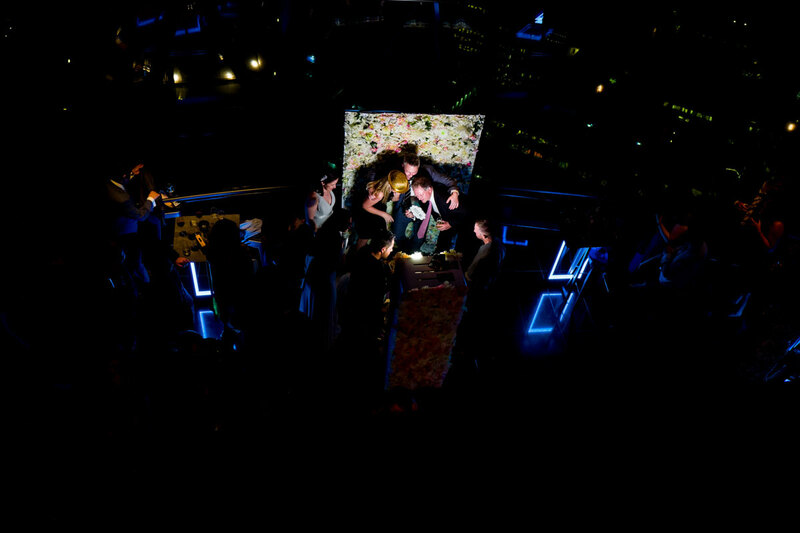 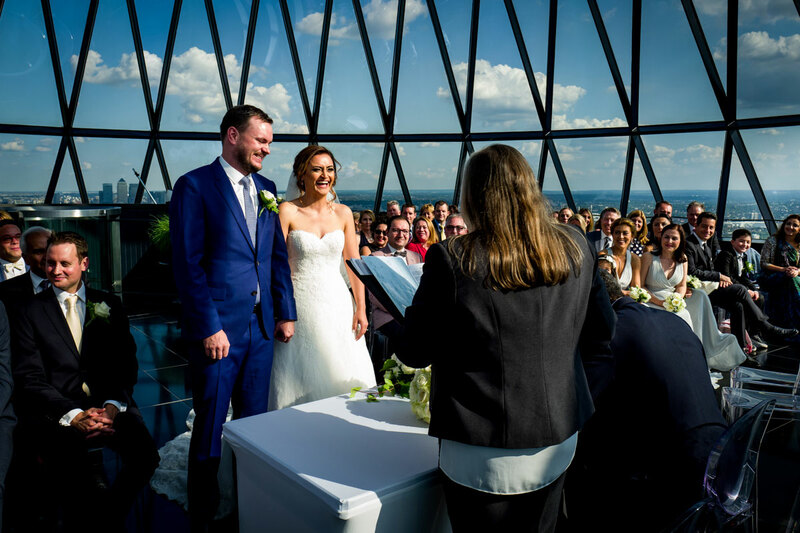 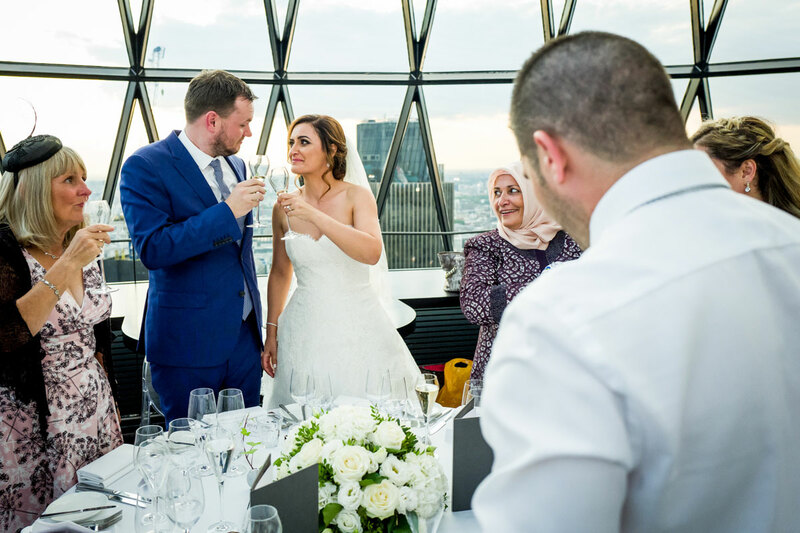 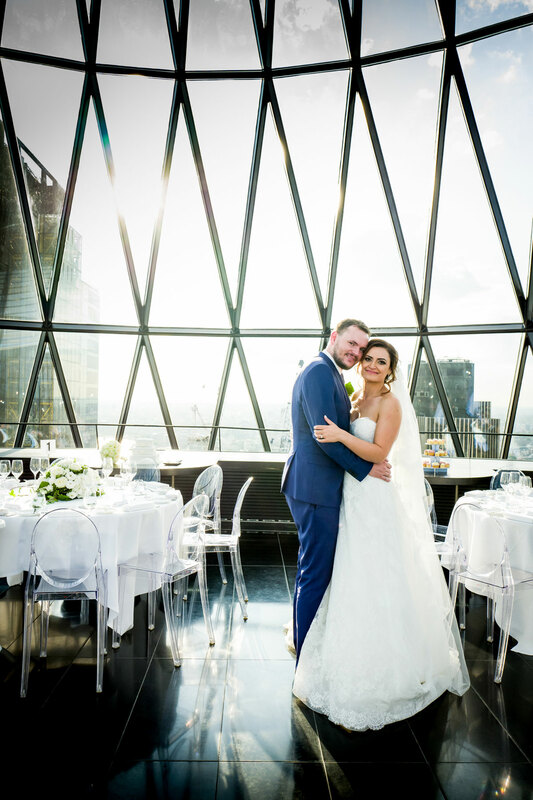 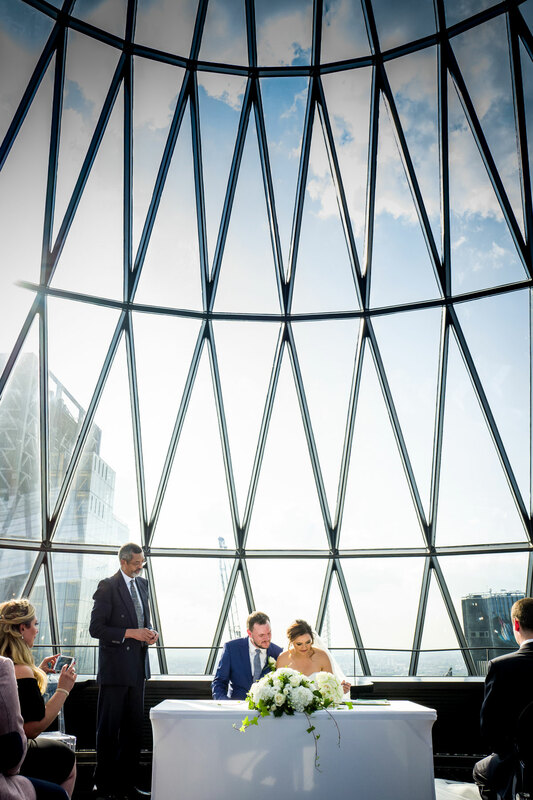 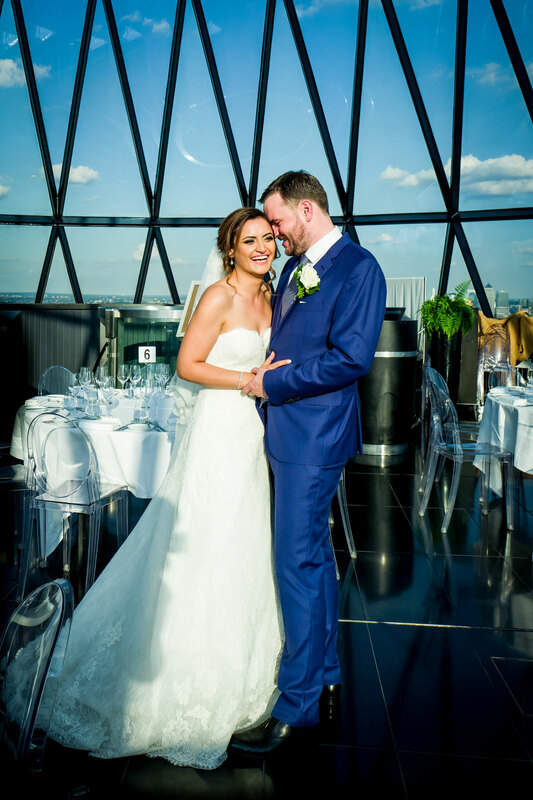 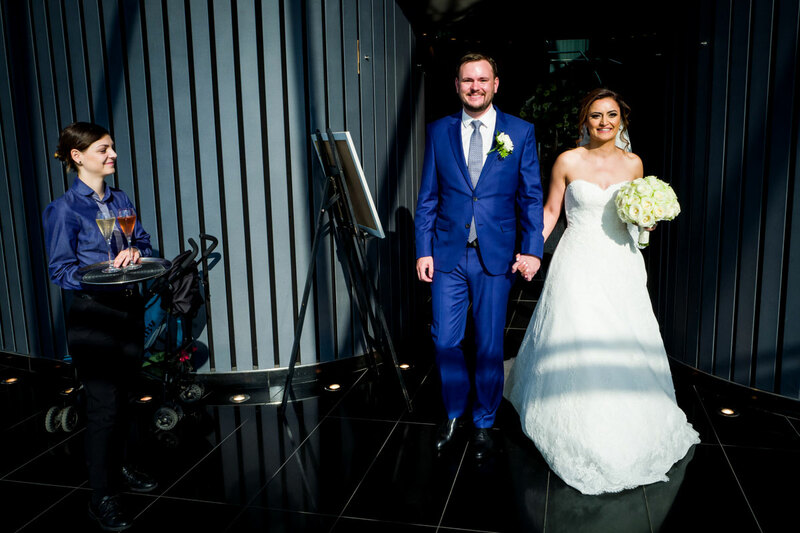 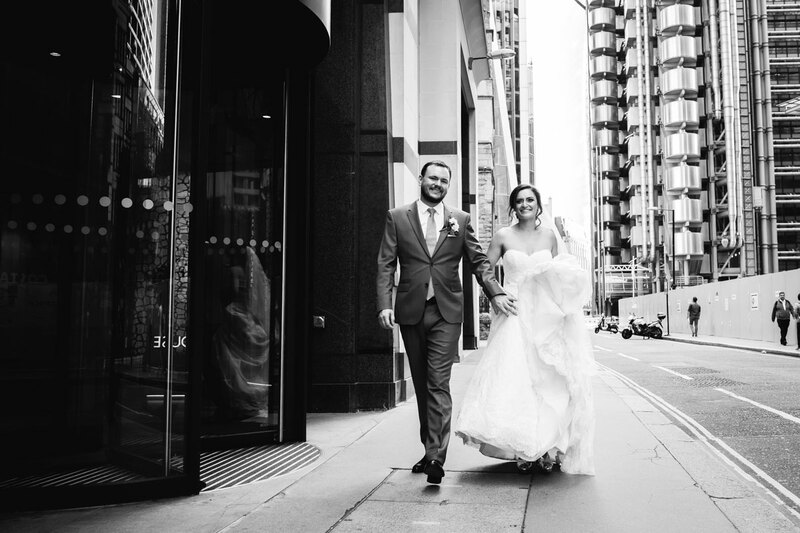 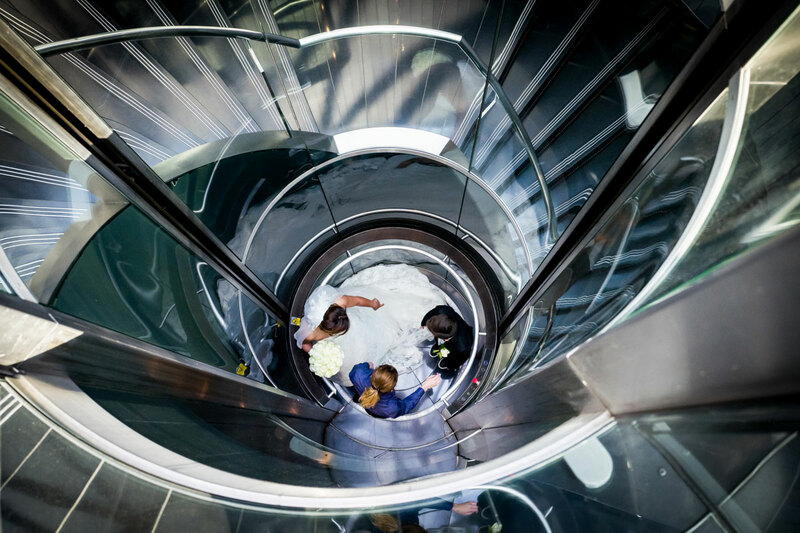 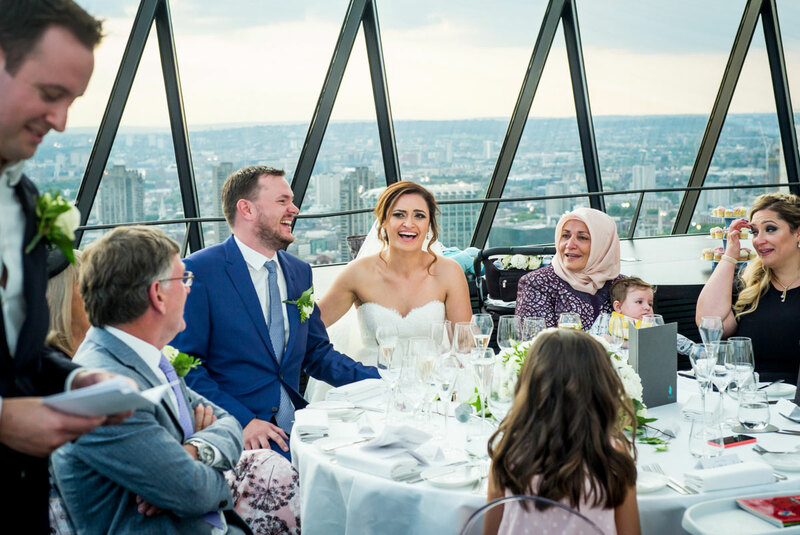 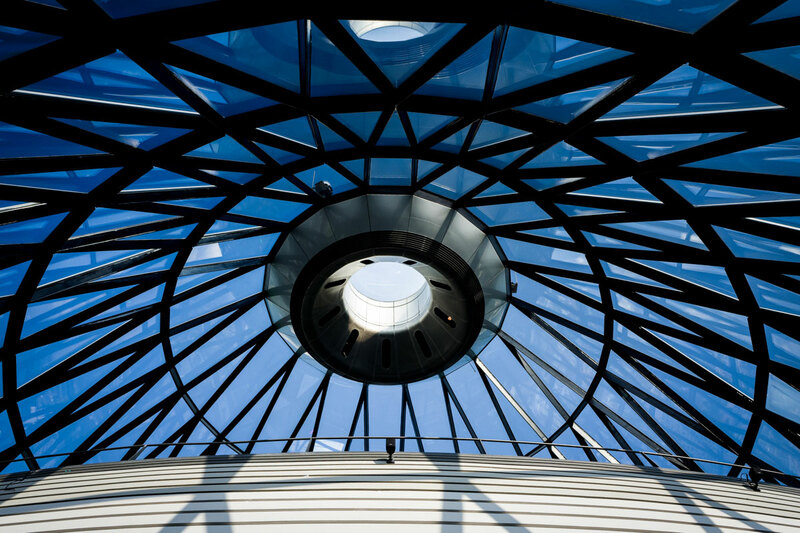 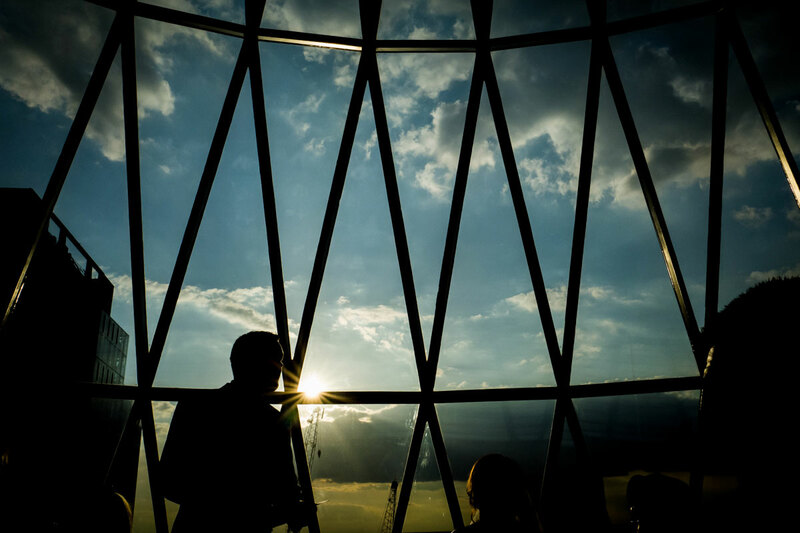 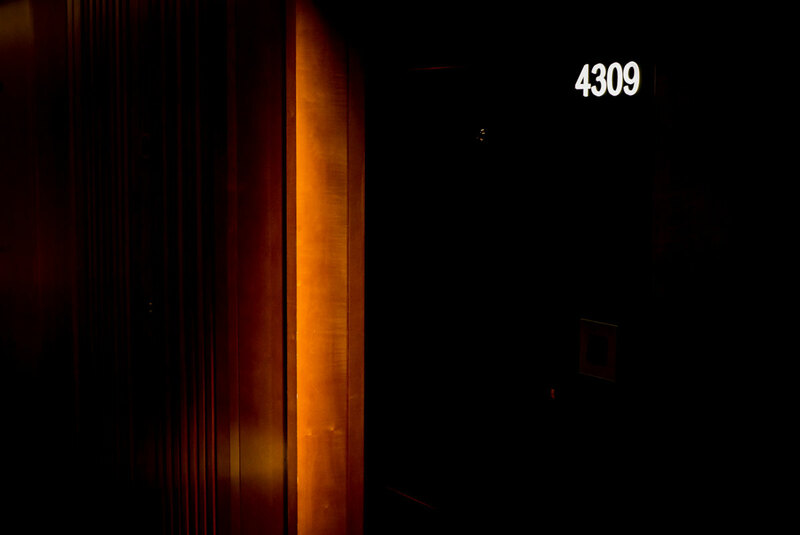 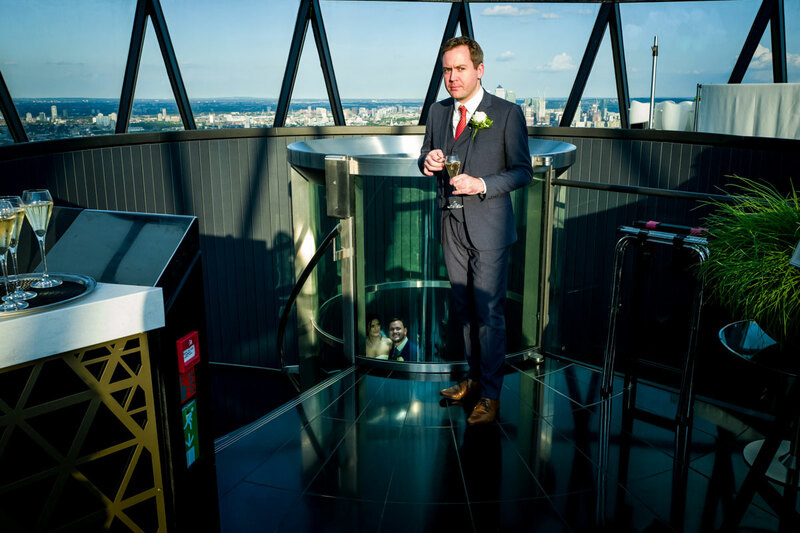 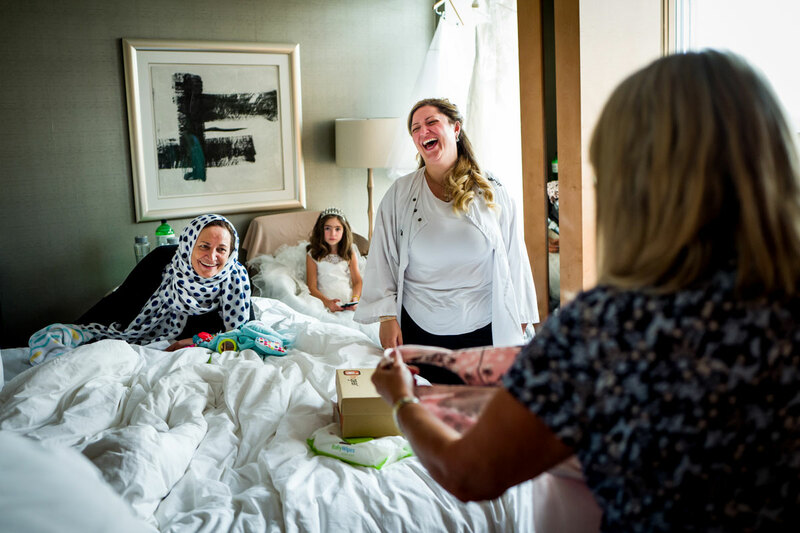 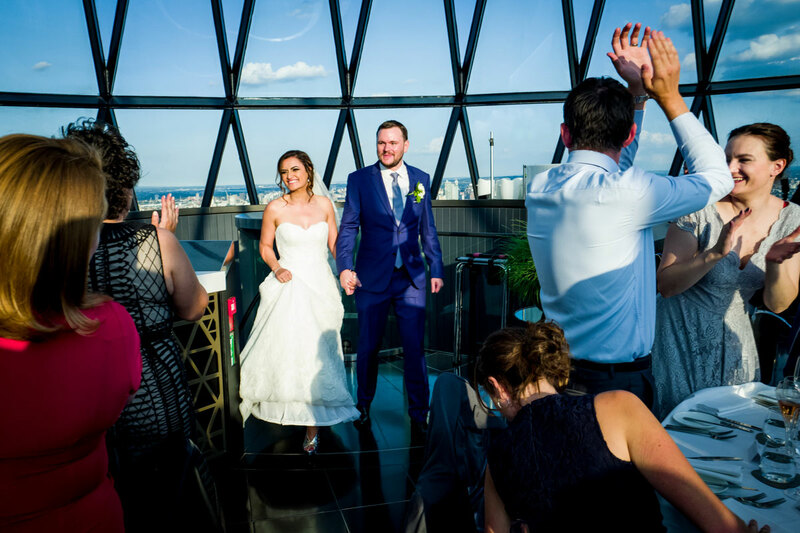 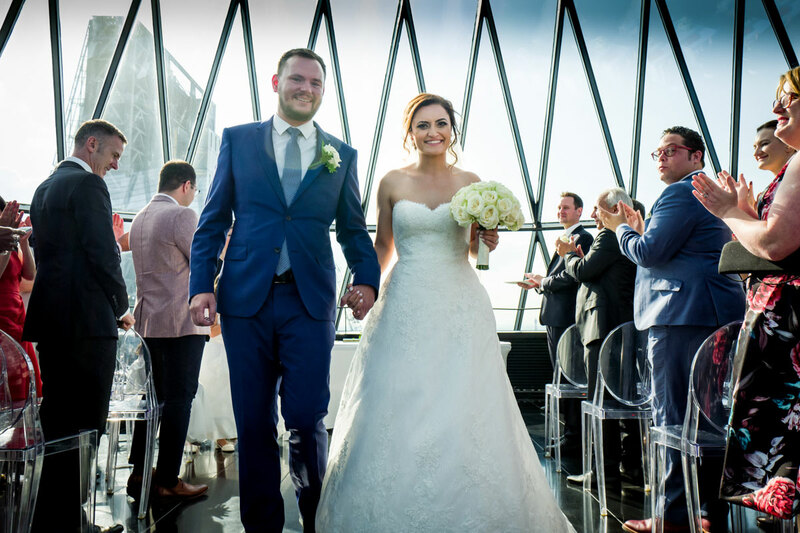 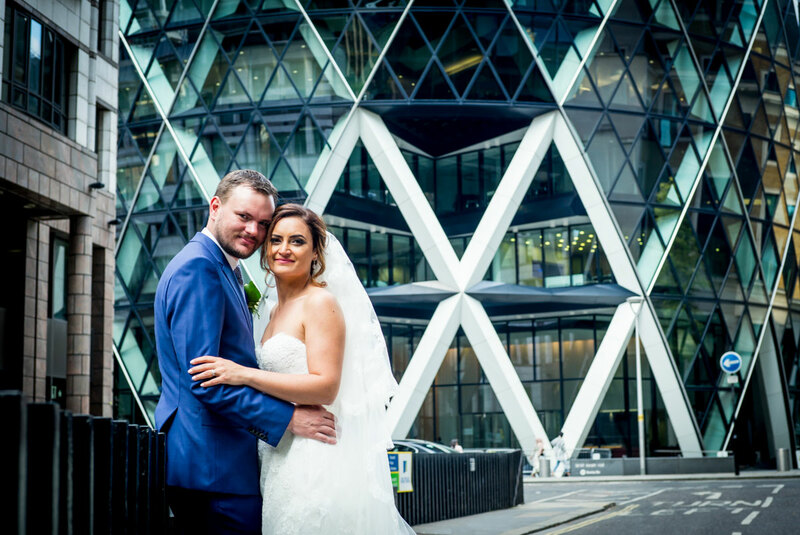 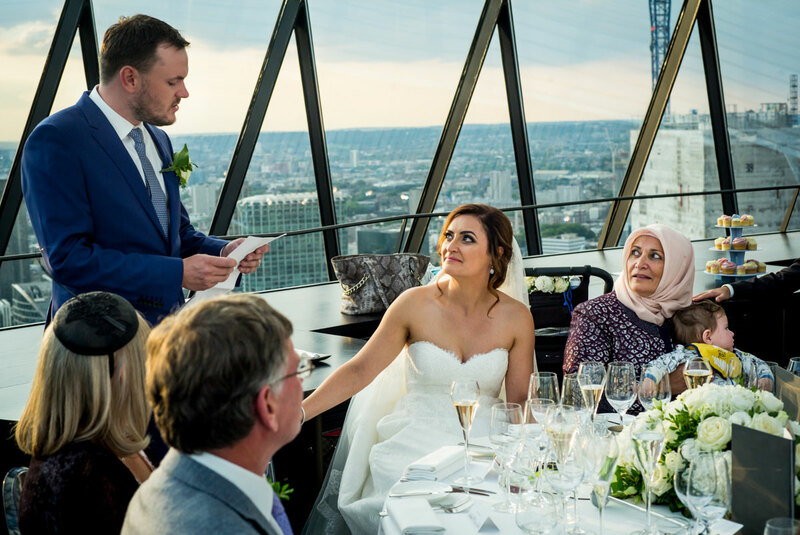 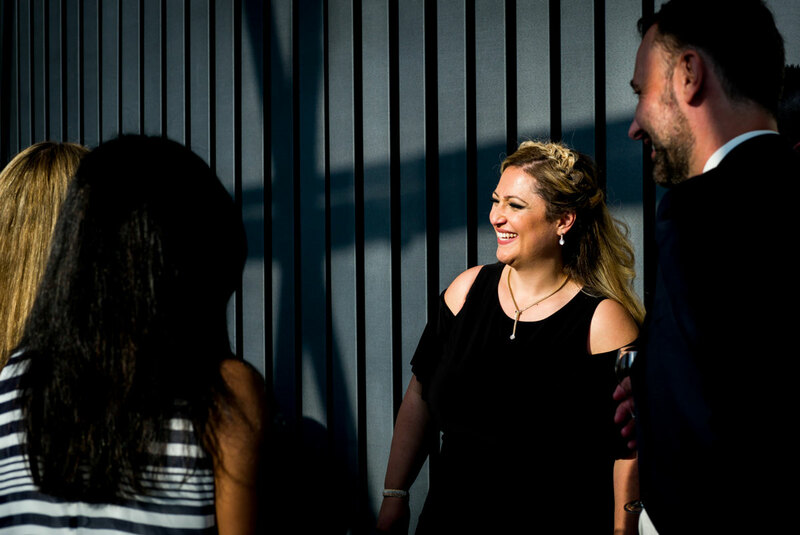 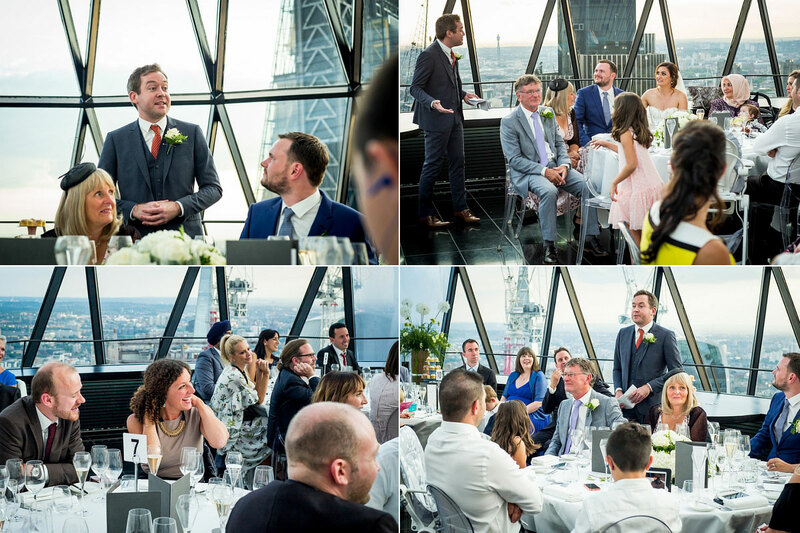 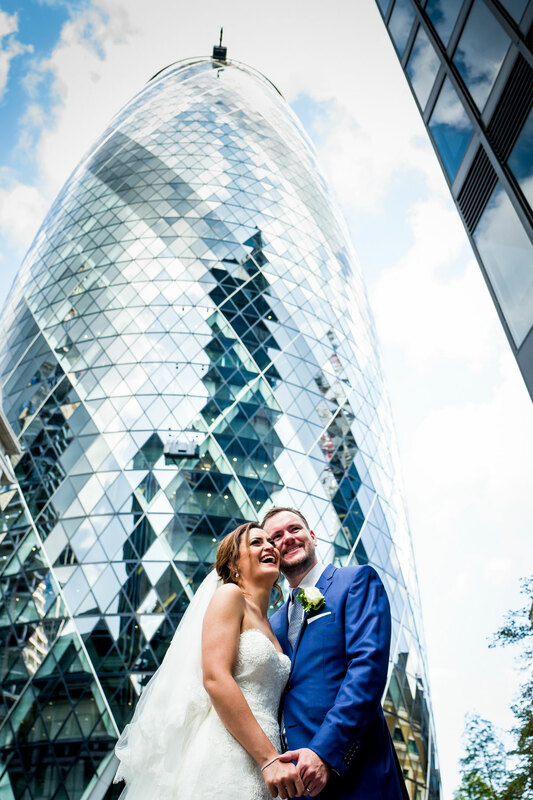 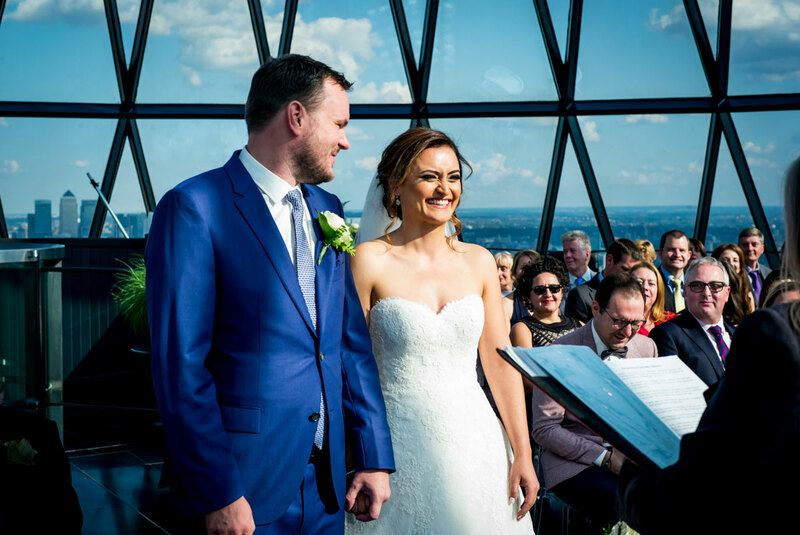 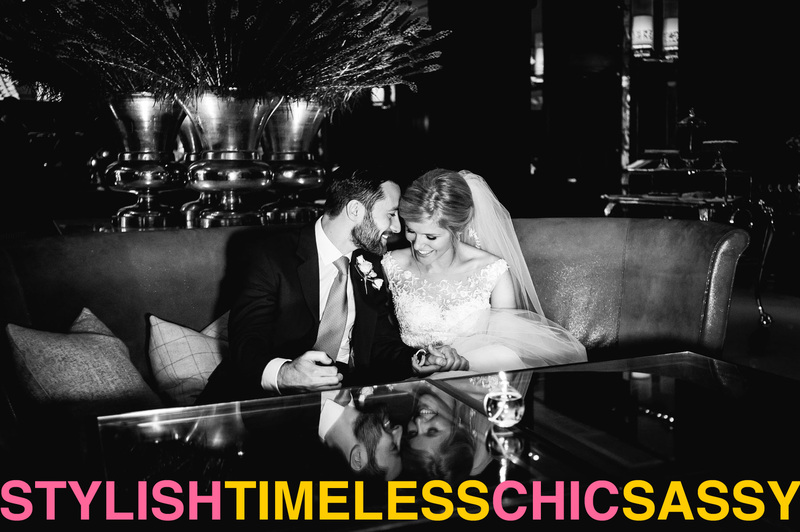 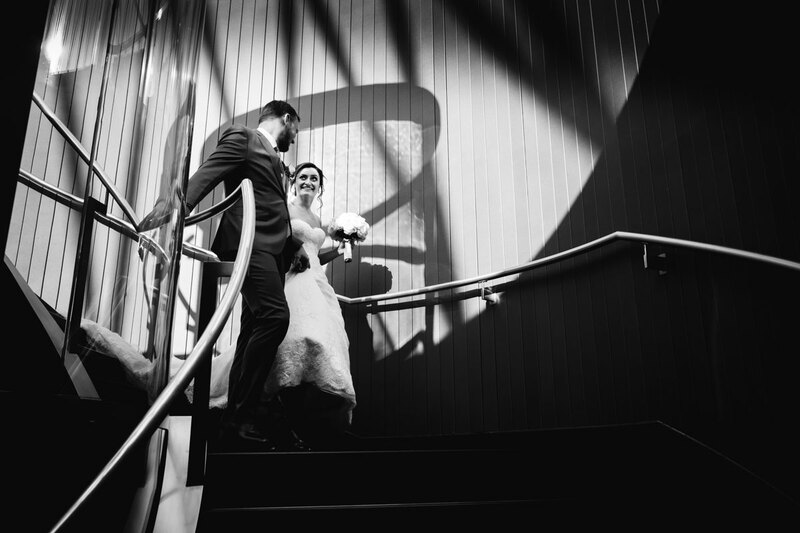 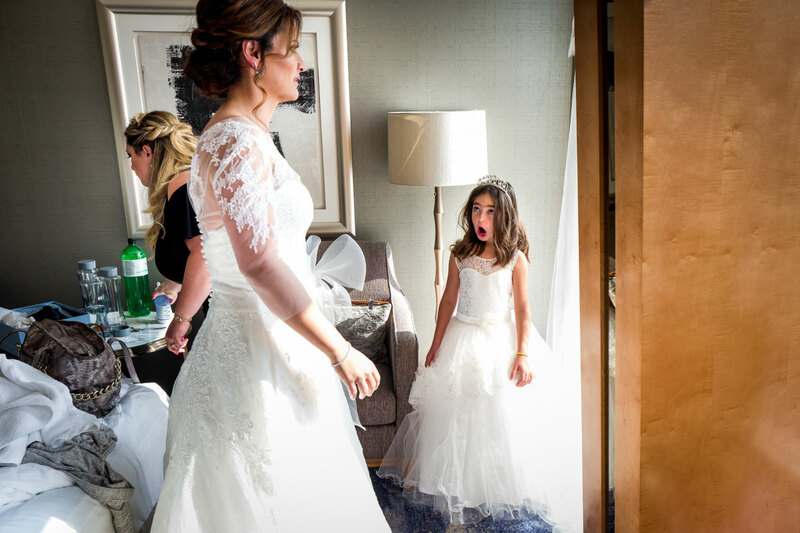 Alex & Esma reside in Singapore so to arrange a Gherkin wedding is no easy feat. 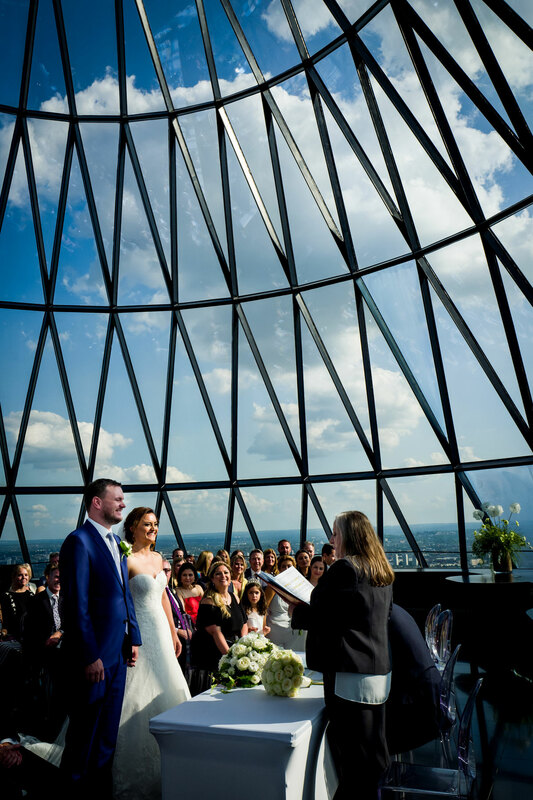 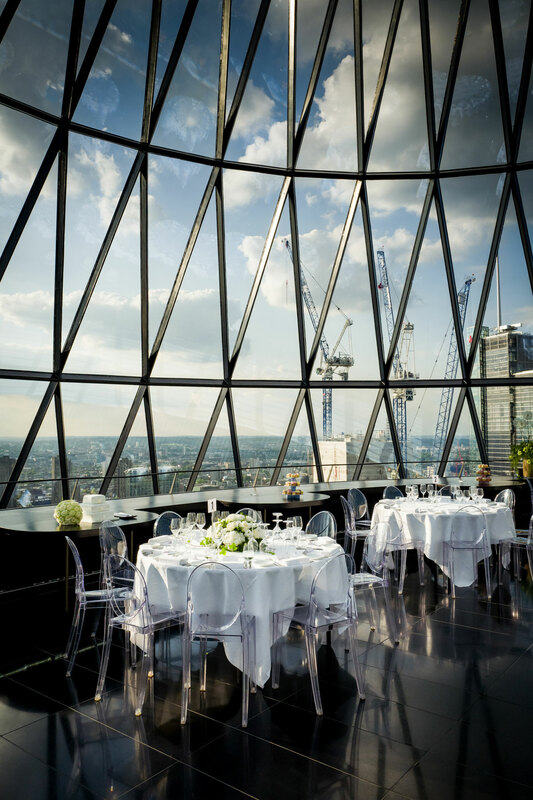 The Gherkin is owned by Searcys (fab for food) so rest assured they know their onions when it comes to a Gherkin Wedding. 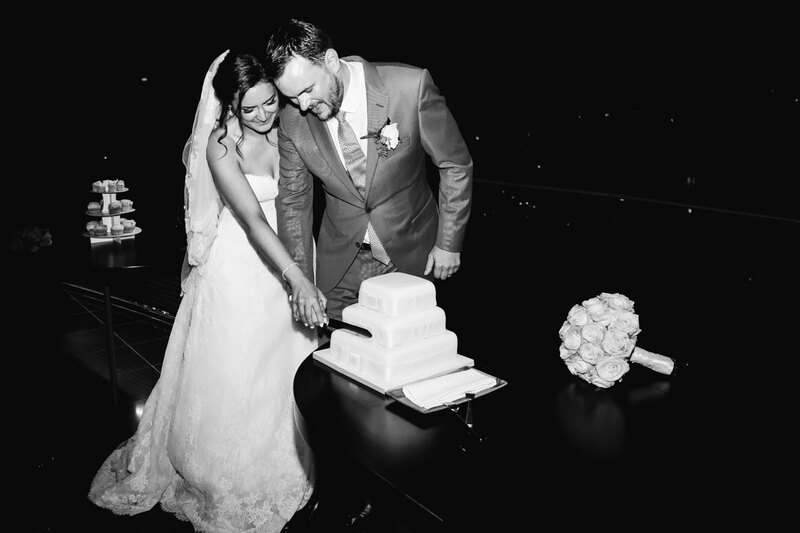 Ok, so no more references to any vegetables, I know Alex is a foodie but we had a wedding on our hands. 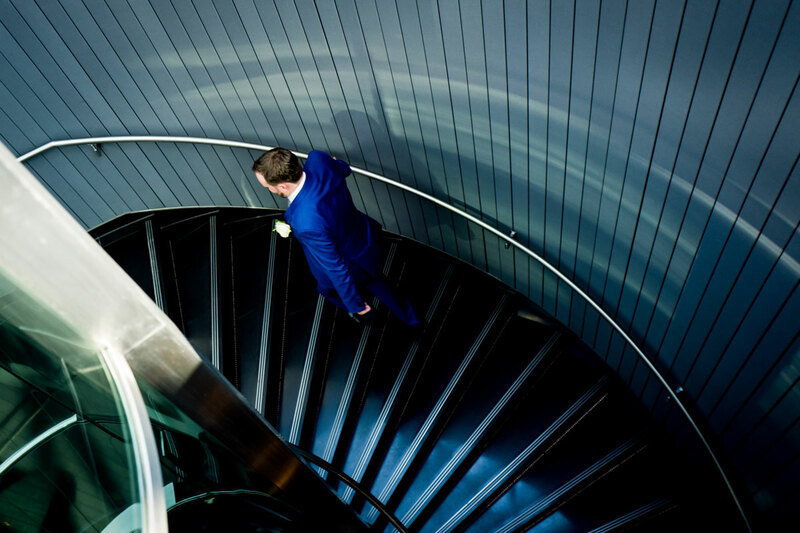 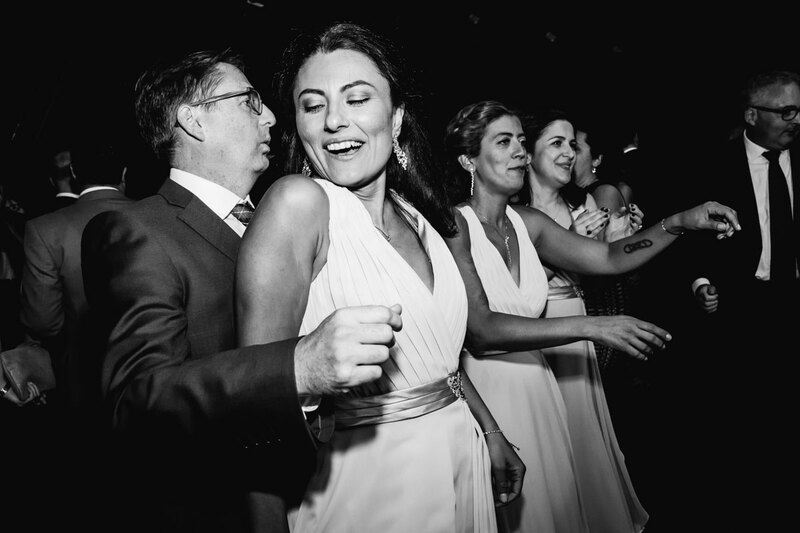 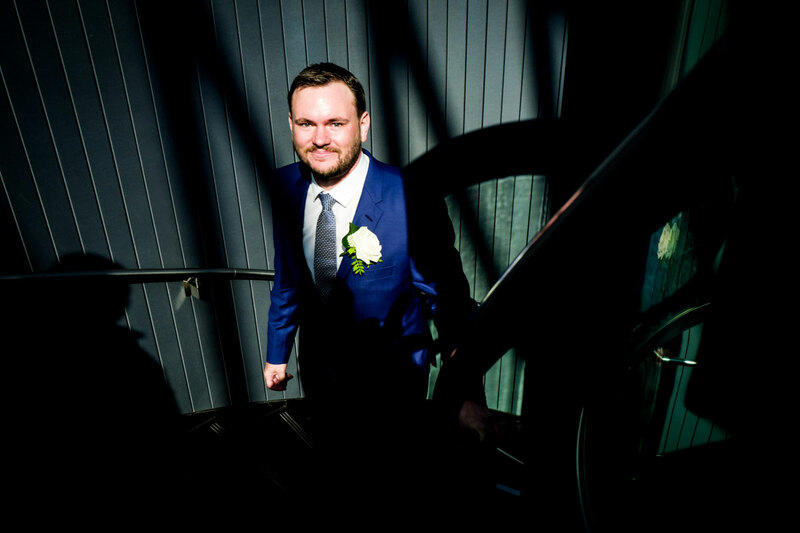 More importantly though I think this can get classed as the highest wedding I have had the pleasure to photograph. 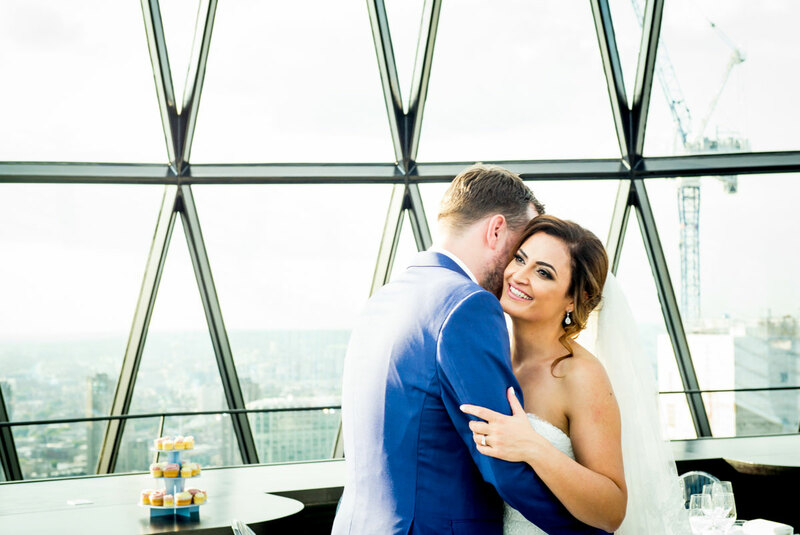 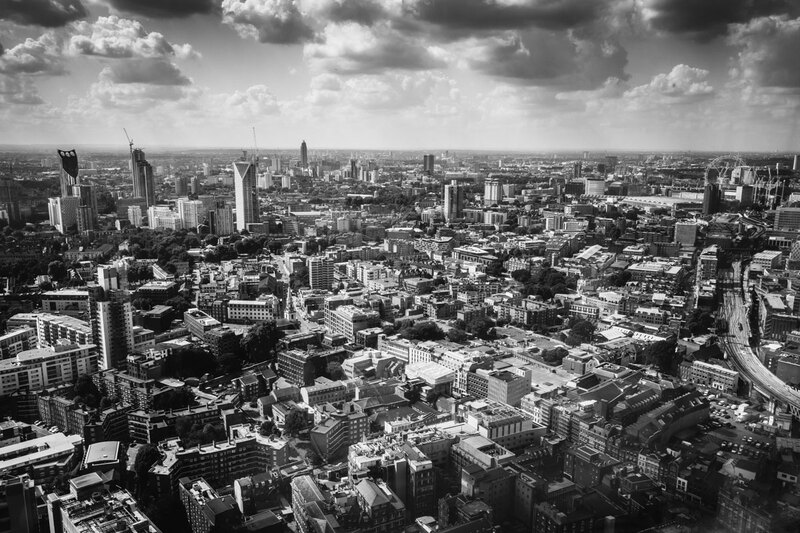 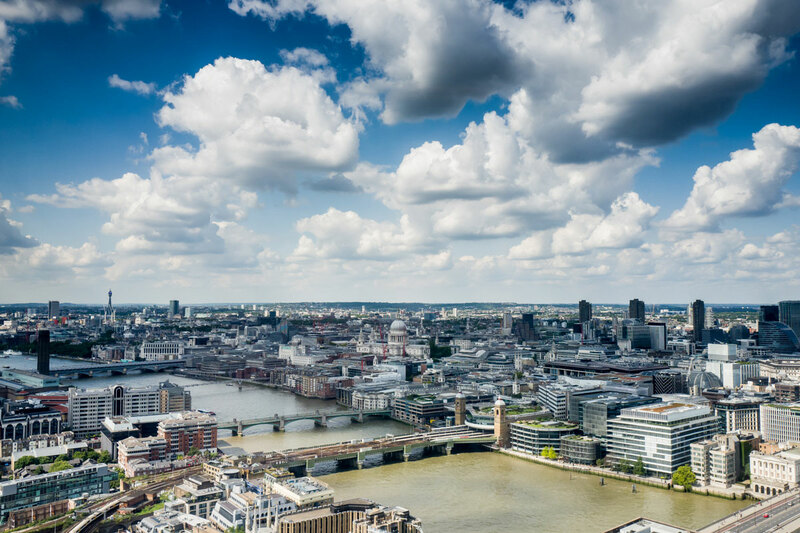 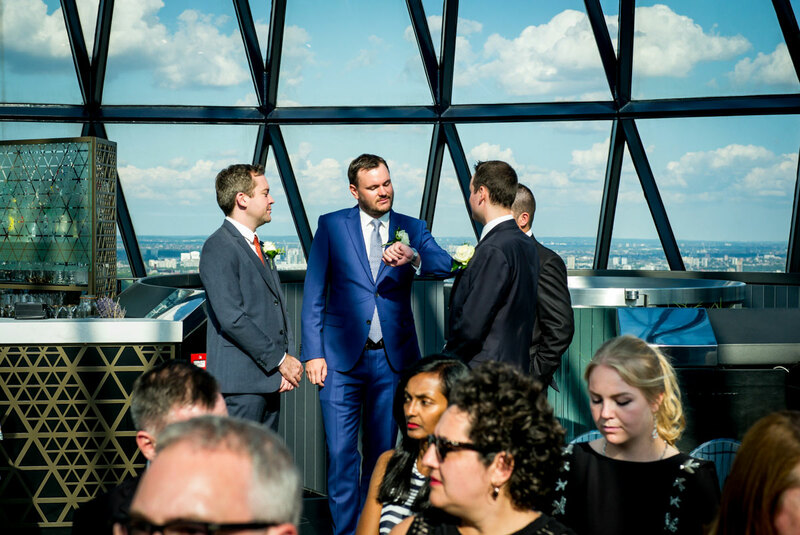 Esme spent her getting ready time in the Shard which affords fabulous views across town. 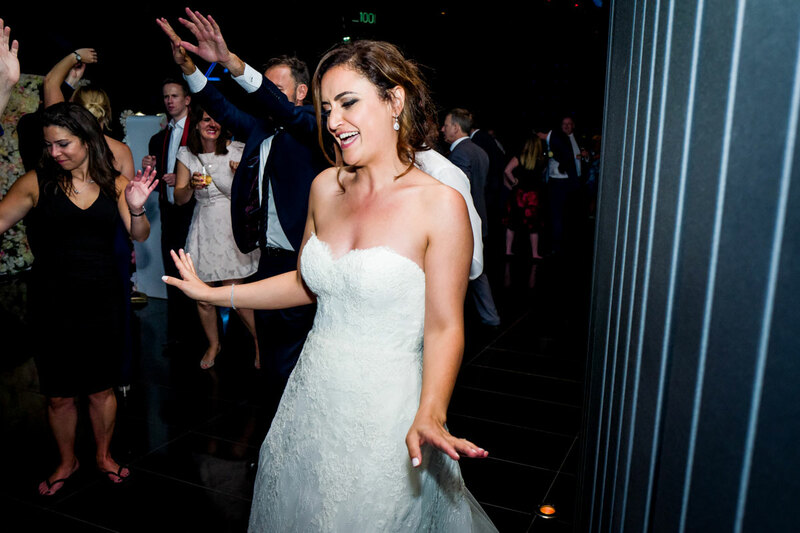 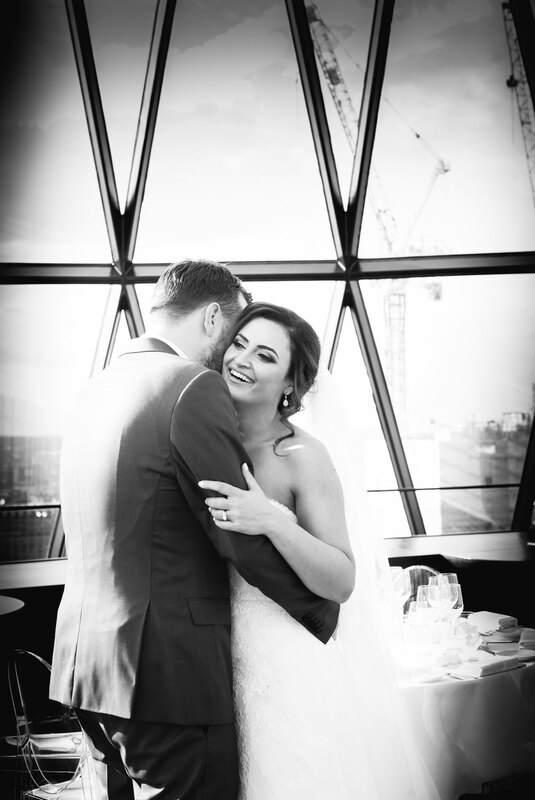 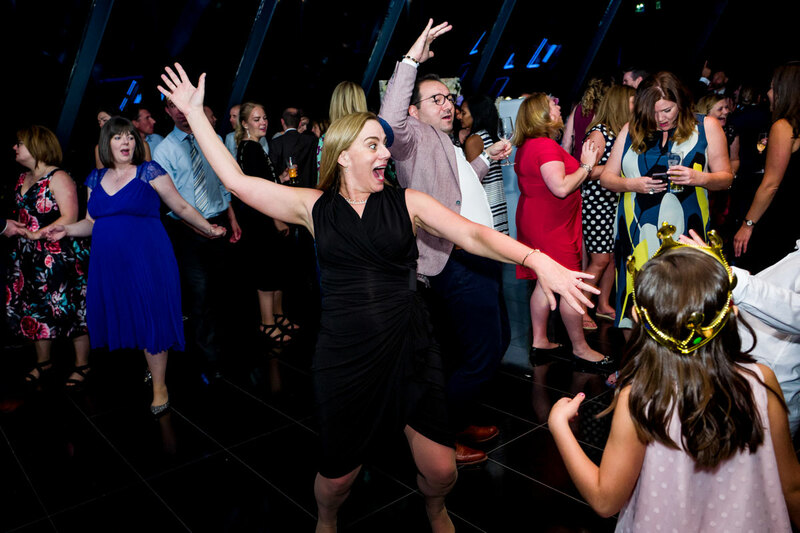 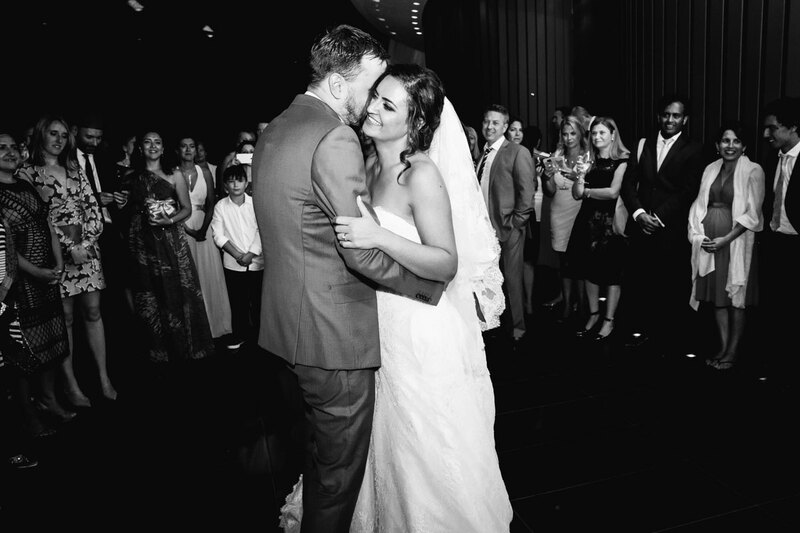 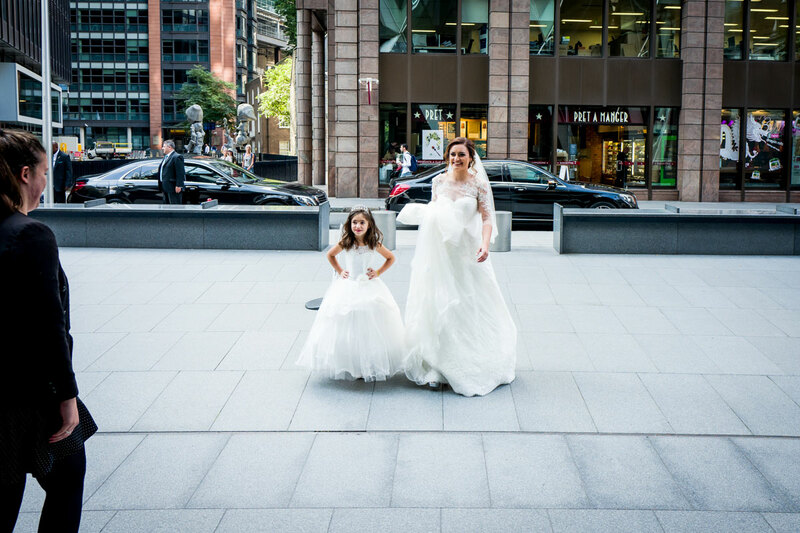 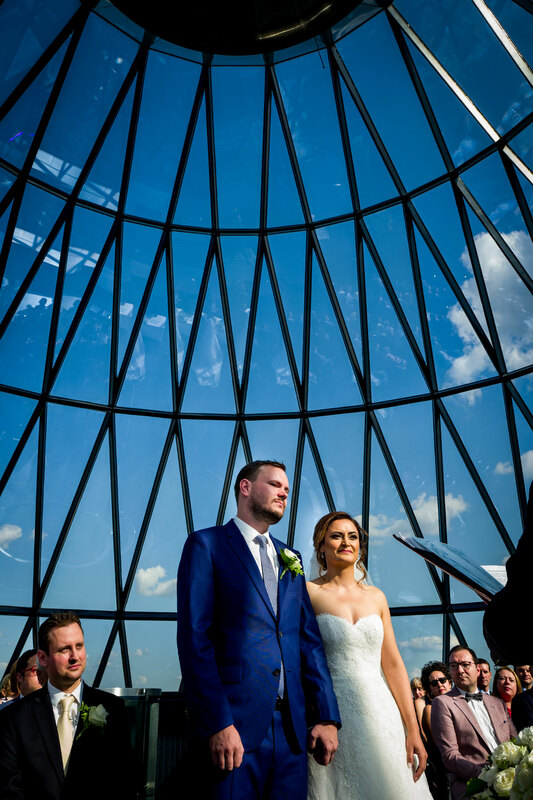 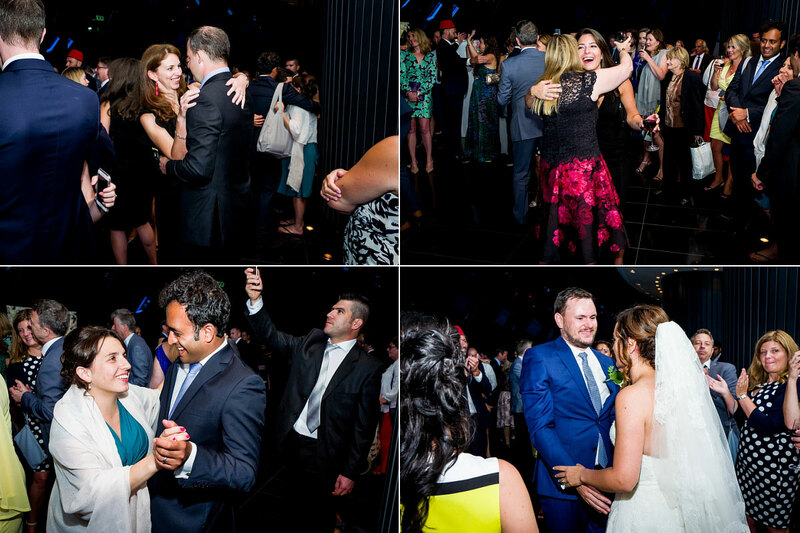 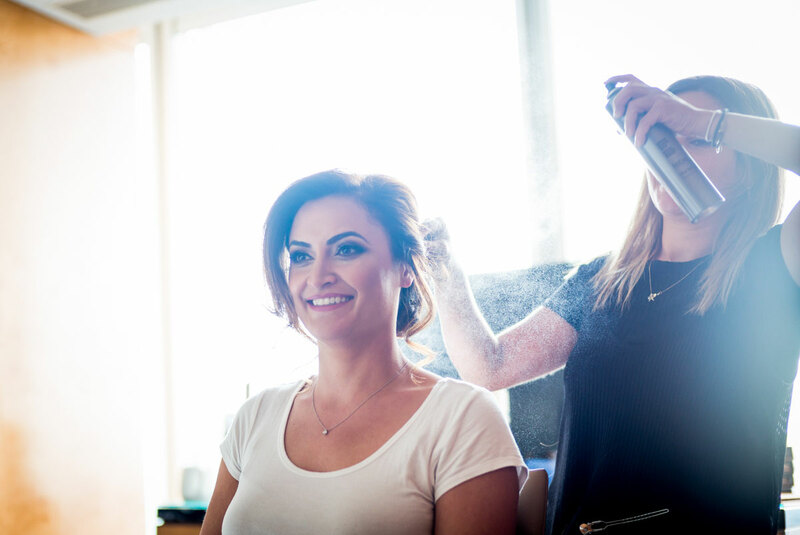 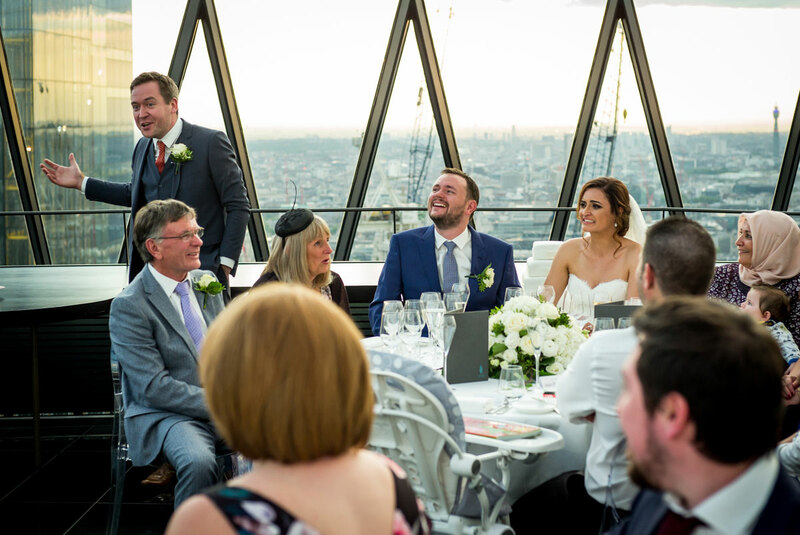 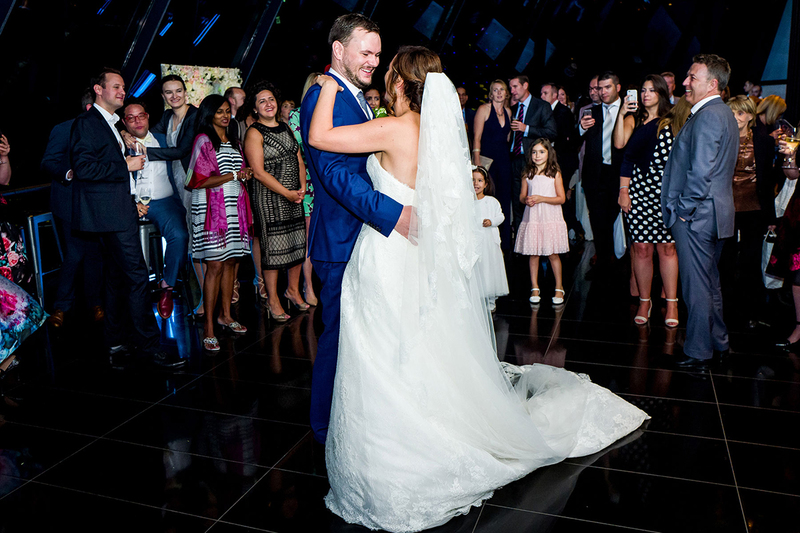 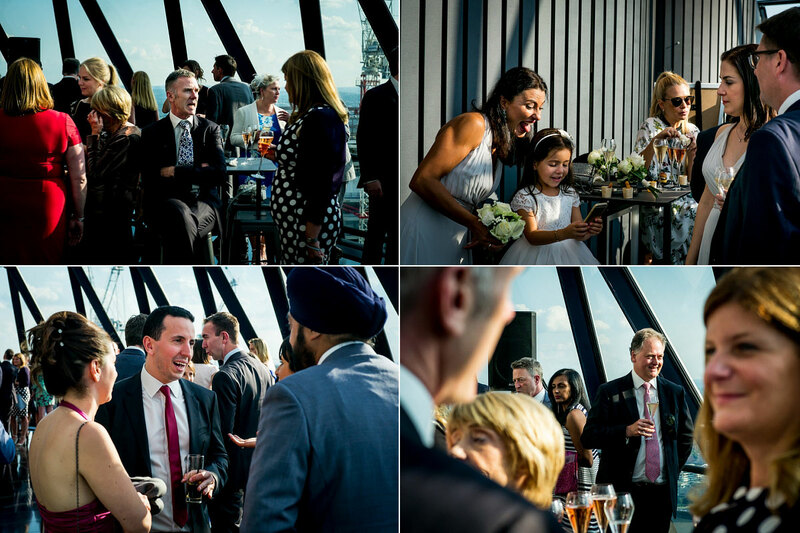 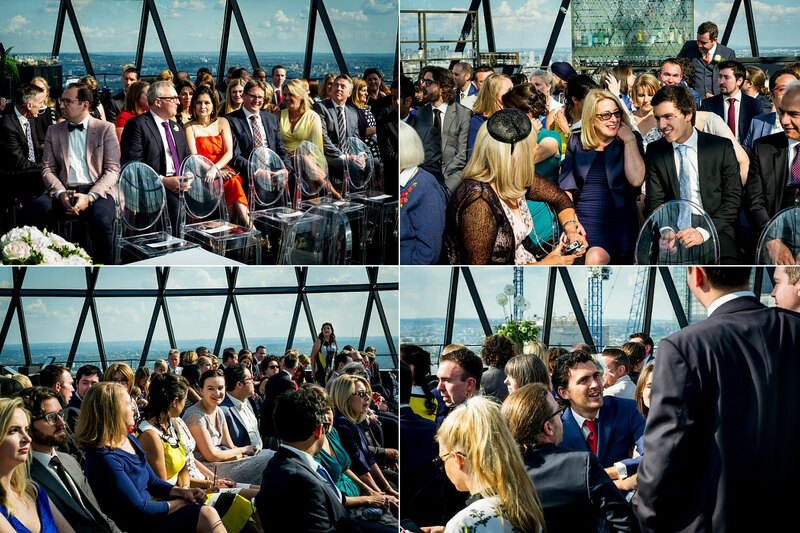 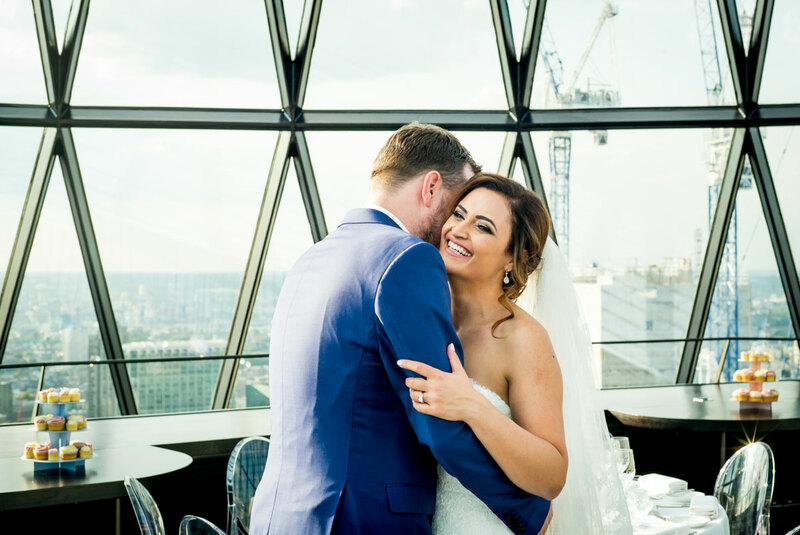 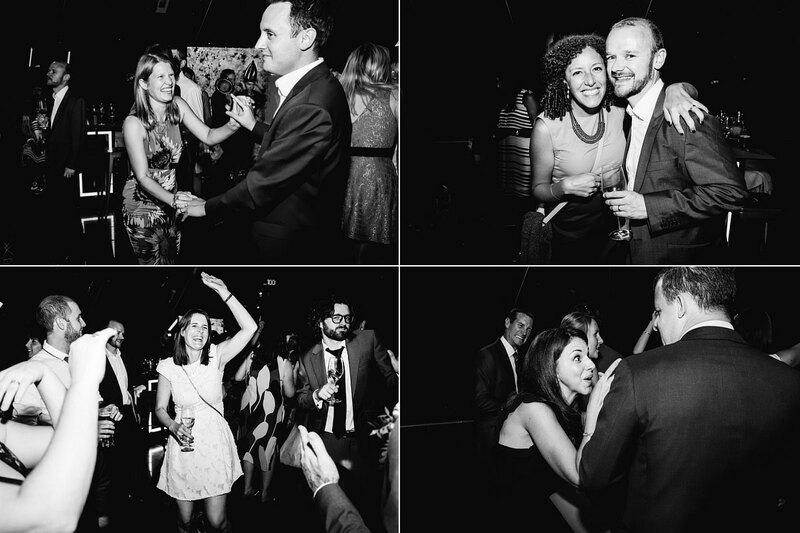 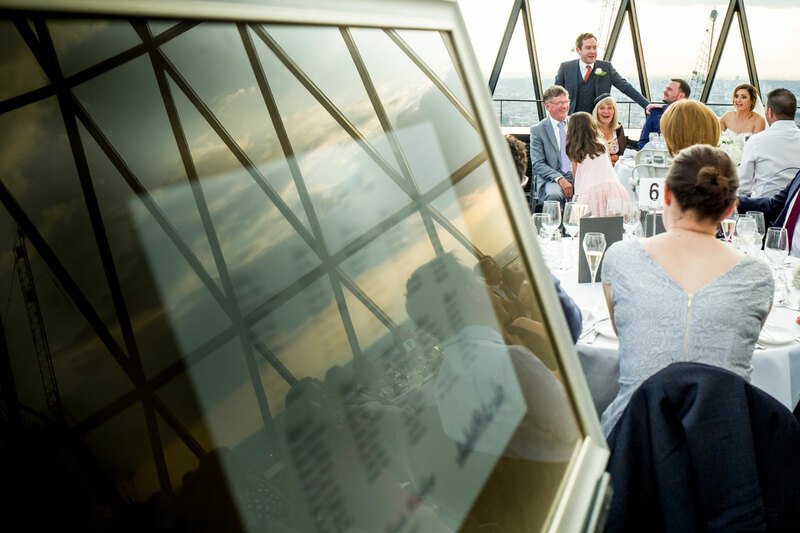 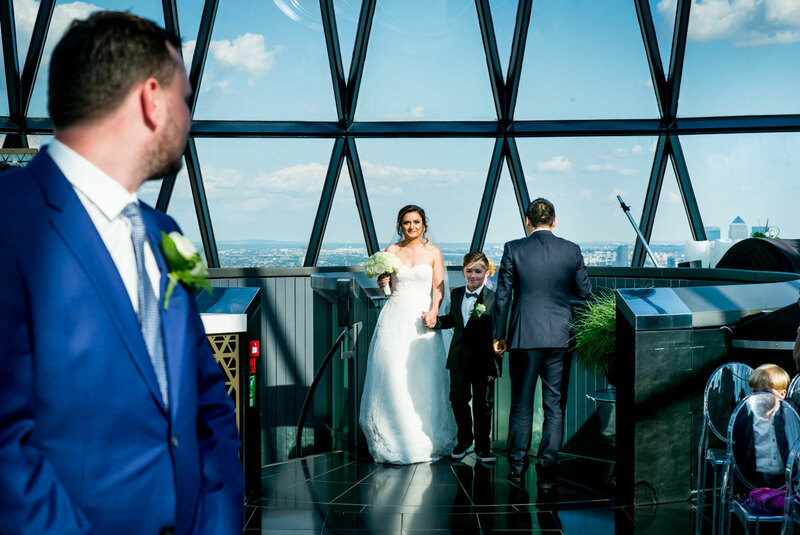 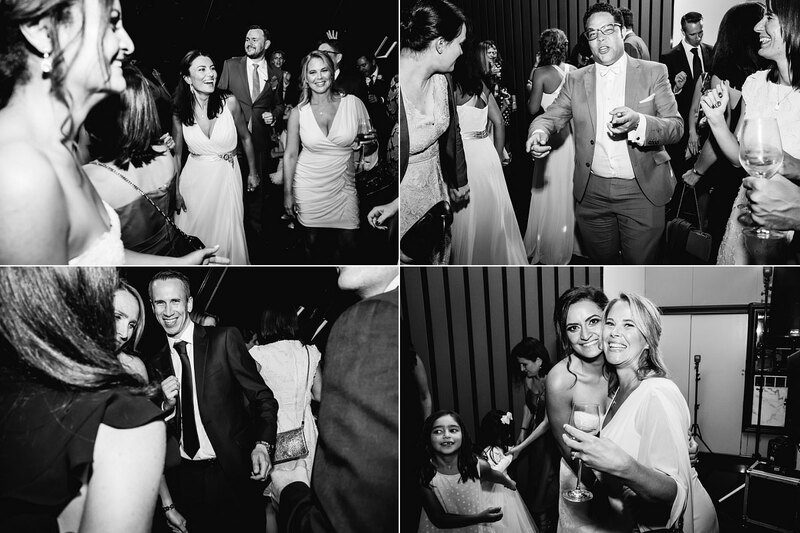 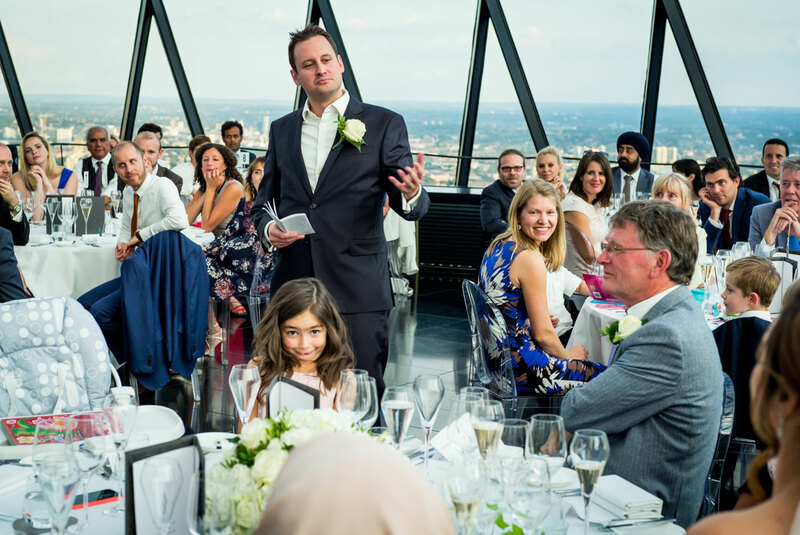 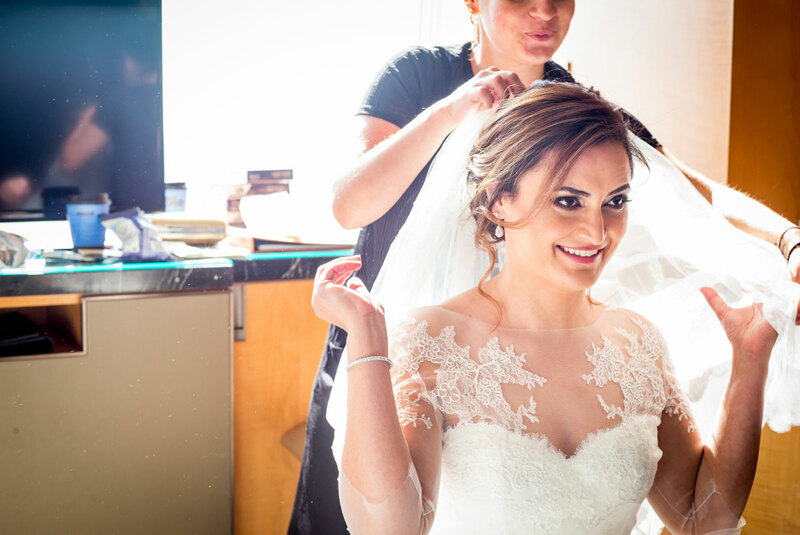 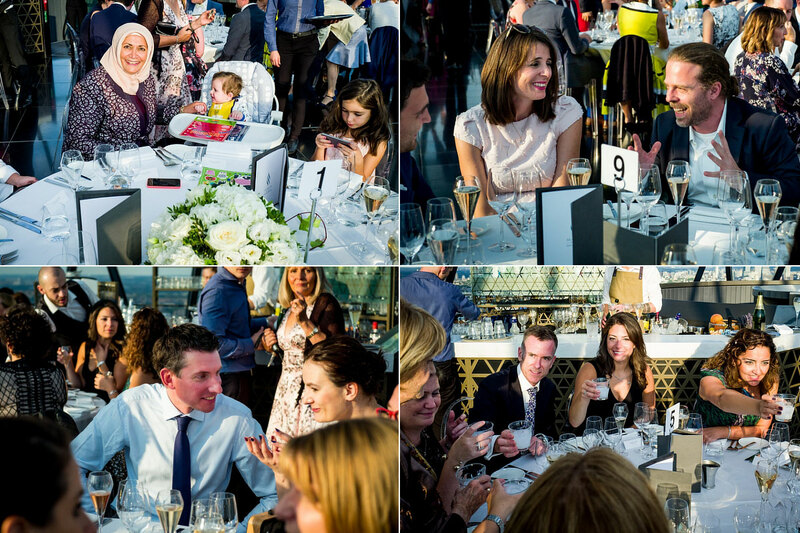 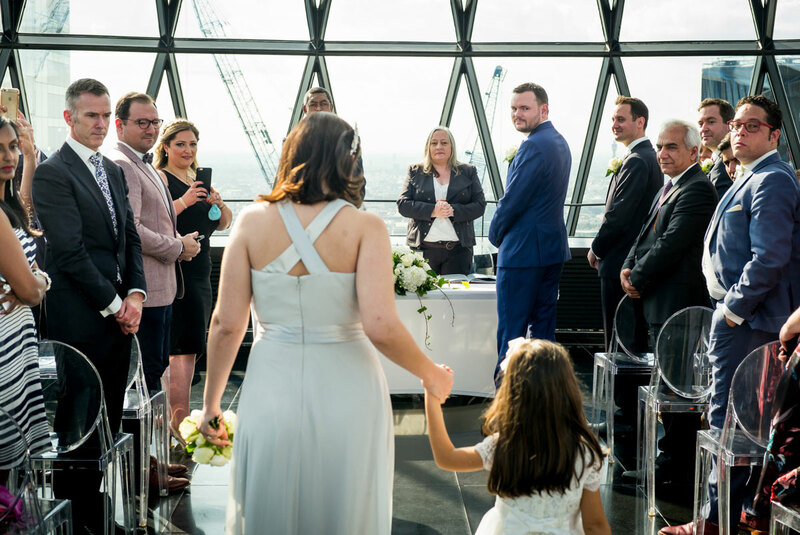 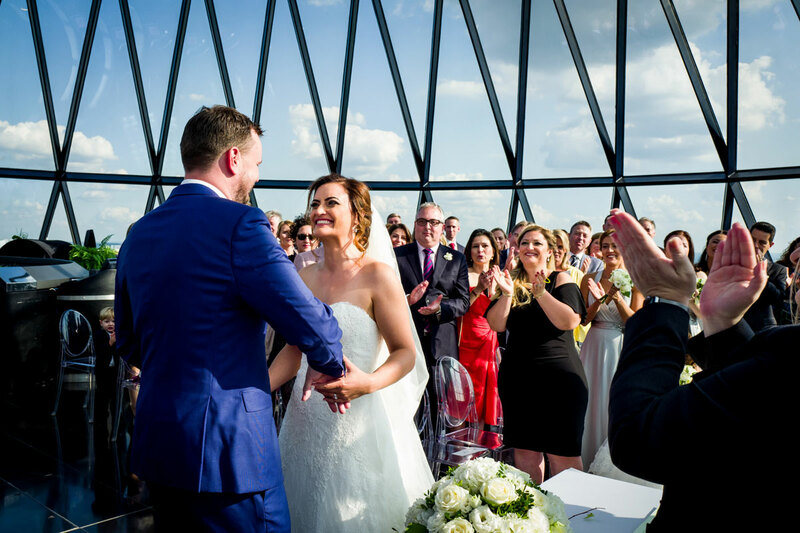 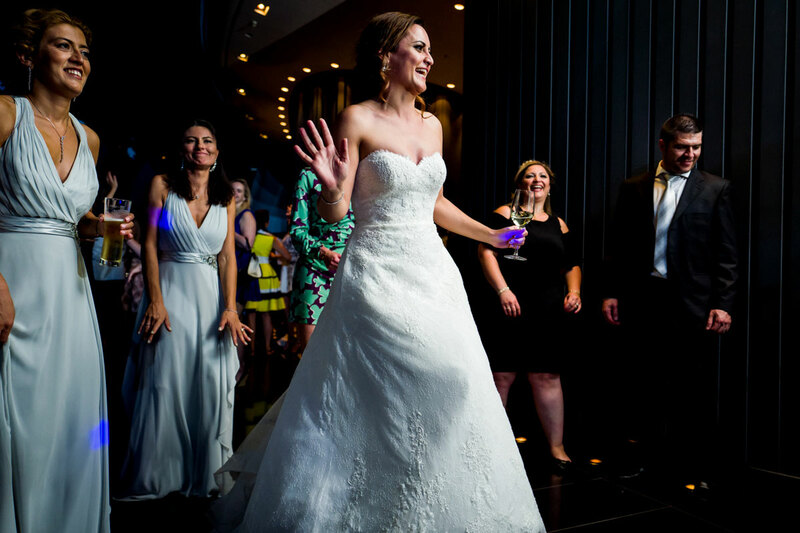 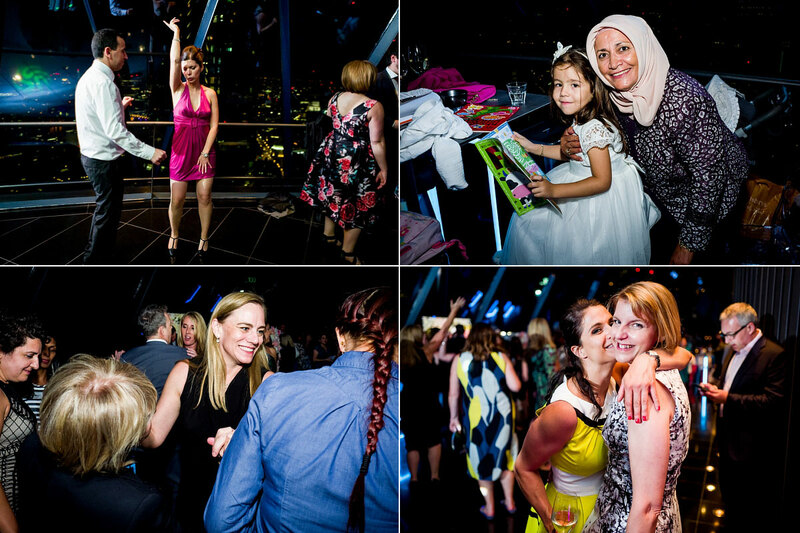 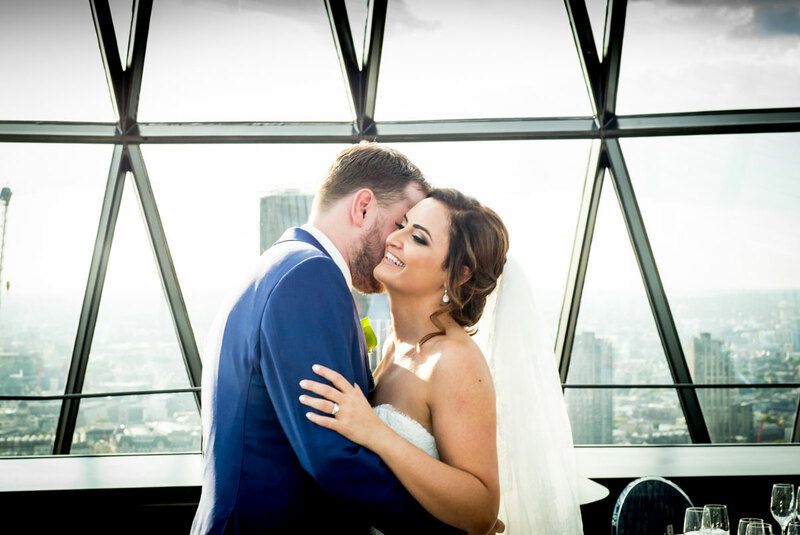 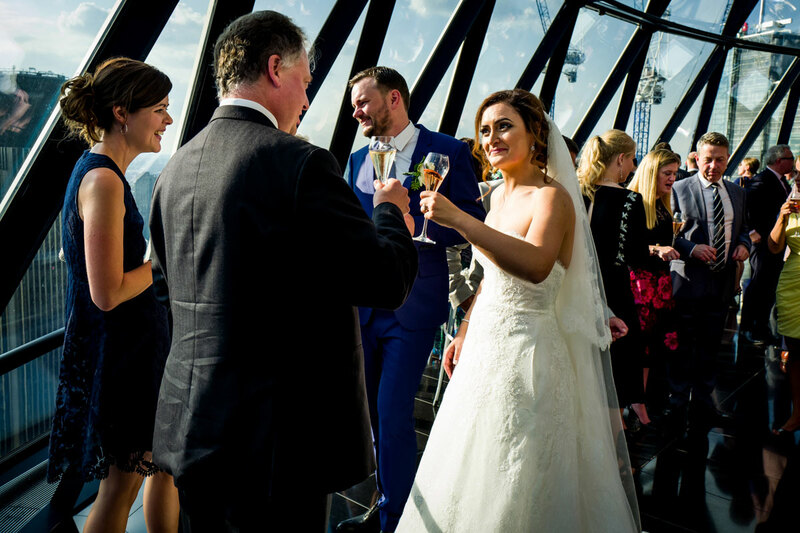 So much so that she could see her ceremony venue over the water and sparkling on the September London skyline. 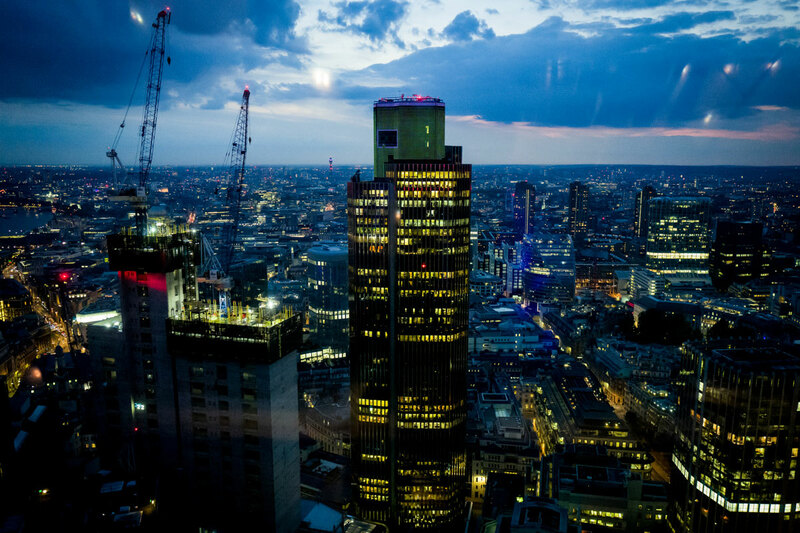 (if you craned your neck around the walkie talkie building) but either way we were in the clouds. 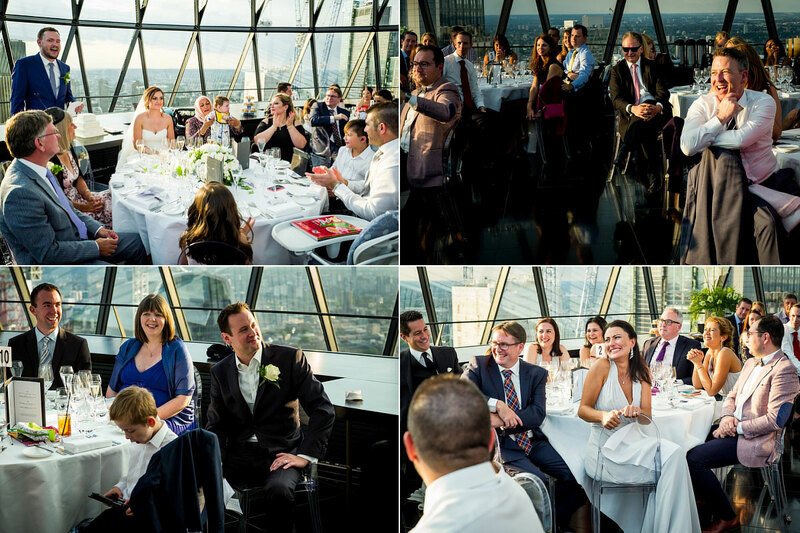 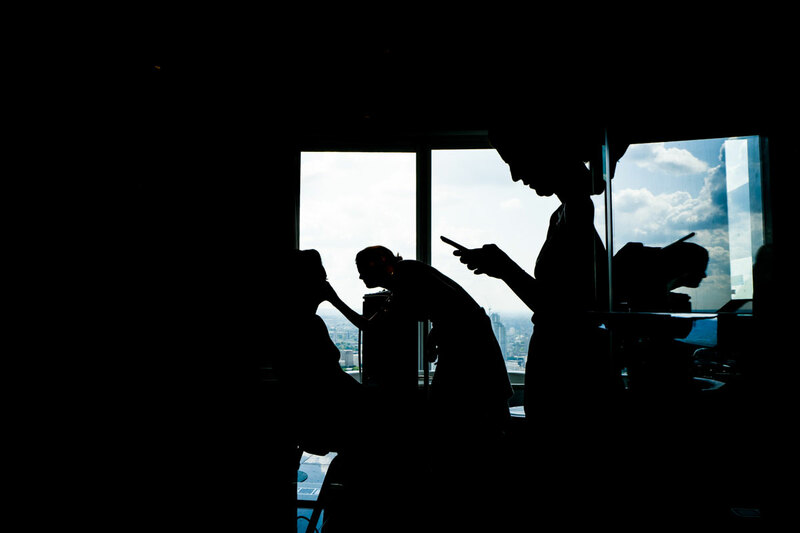 Some 60+ floors up for the bridal preps and some 50+ floors up for the ceremony. 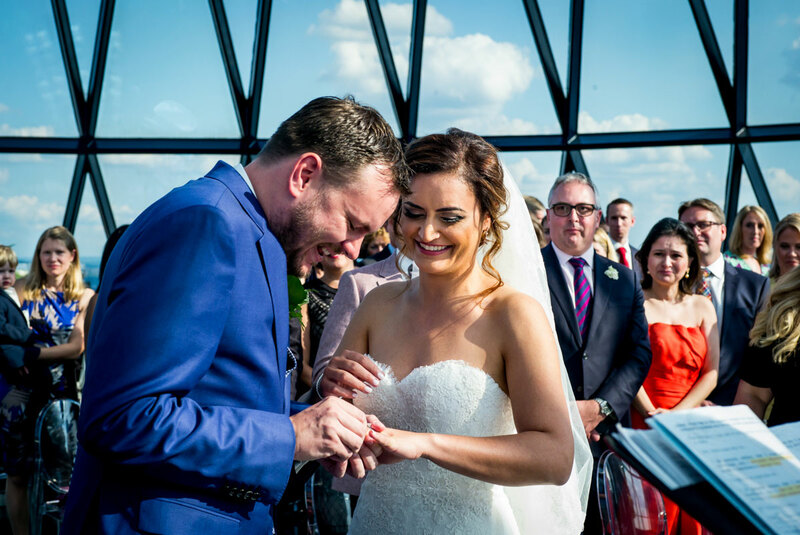 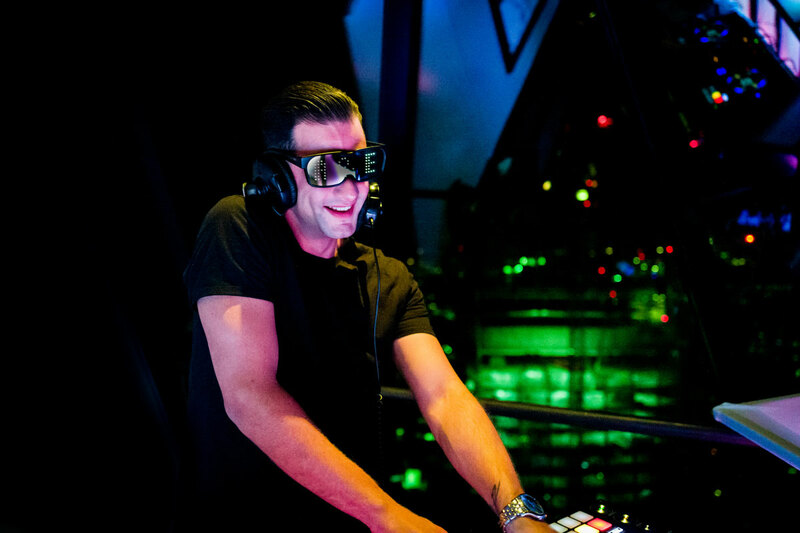 We touched ground briefly for the car drive in between the two venues (and for some photos) but for the most part we were high in the sky and happy to be so. 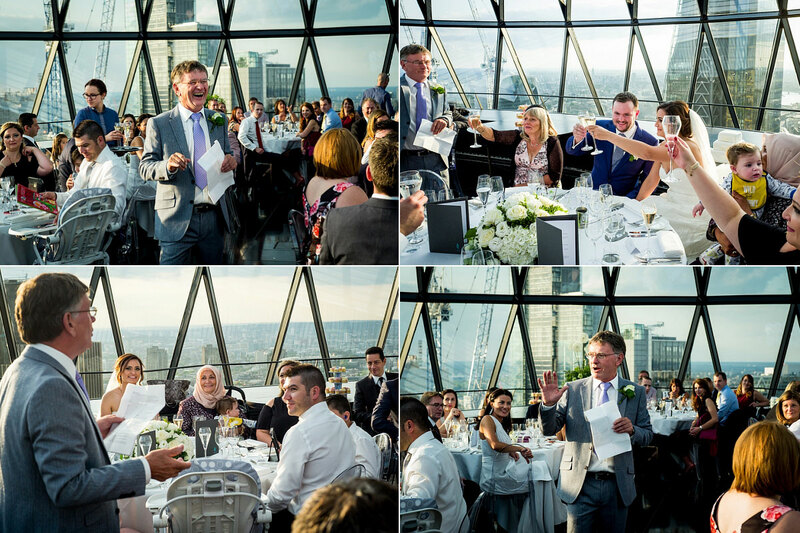 All the venue and location aside though we were here to witness a wedding and we had folk for all four points of the globe to represent what a truly international affair it was. 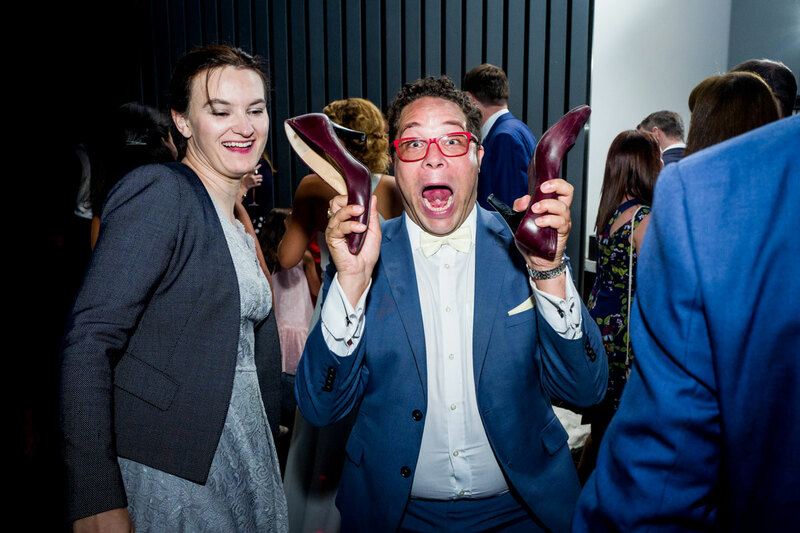 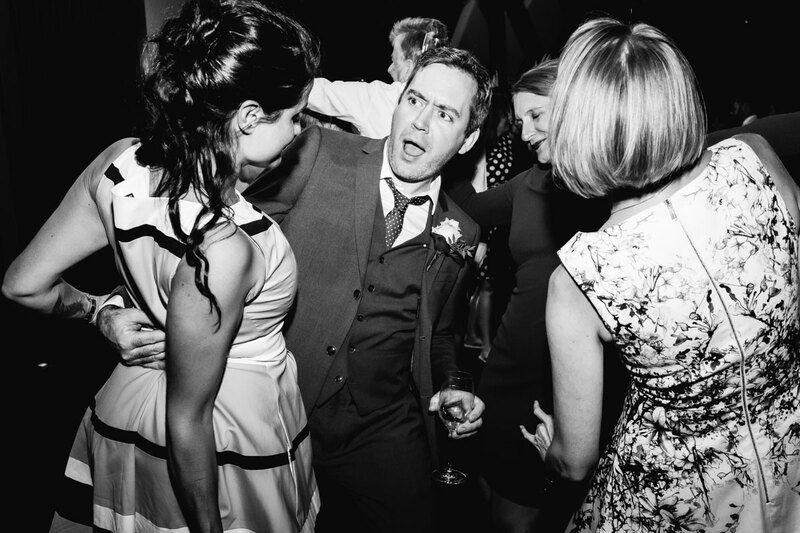 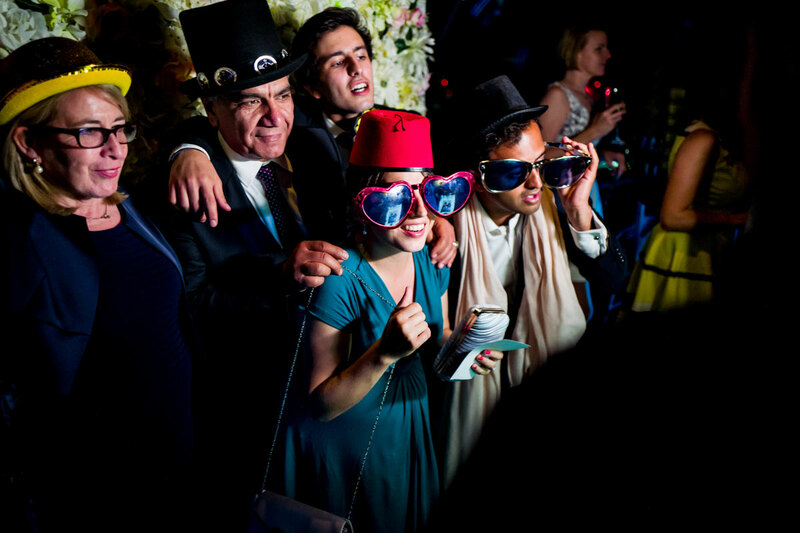 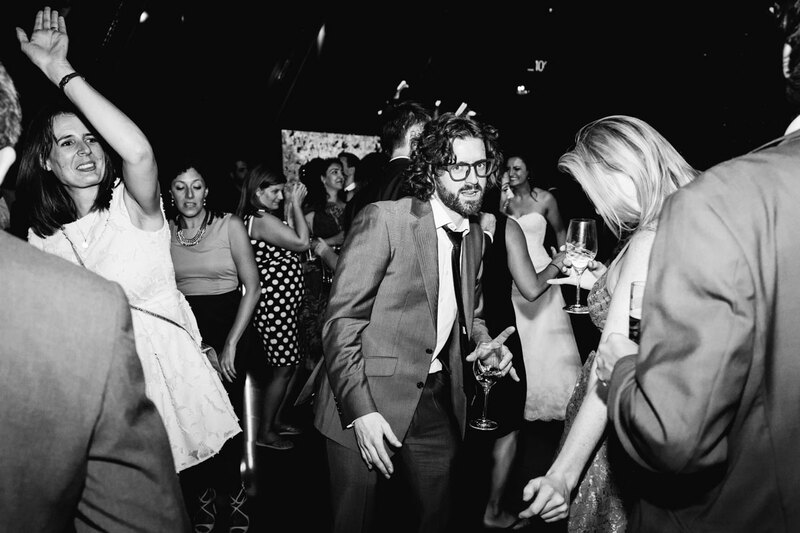 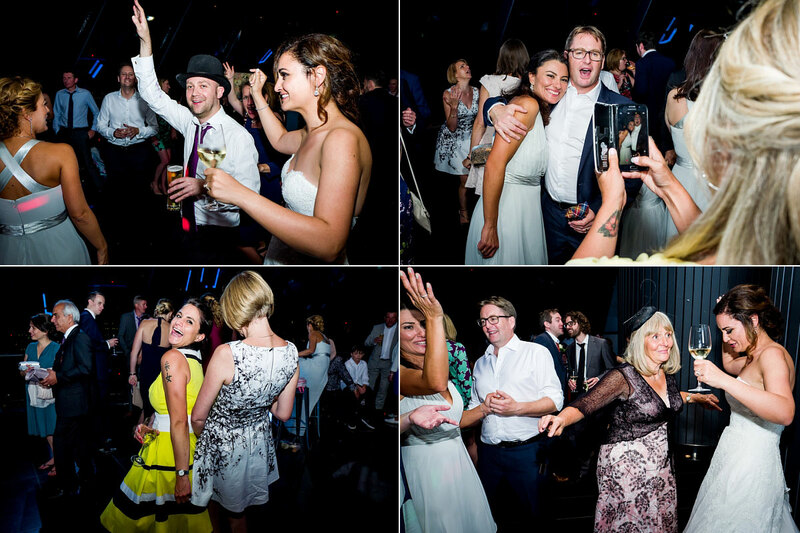 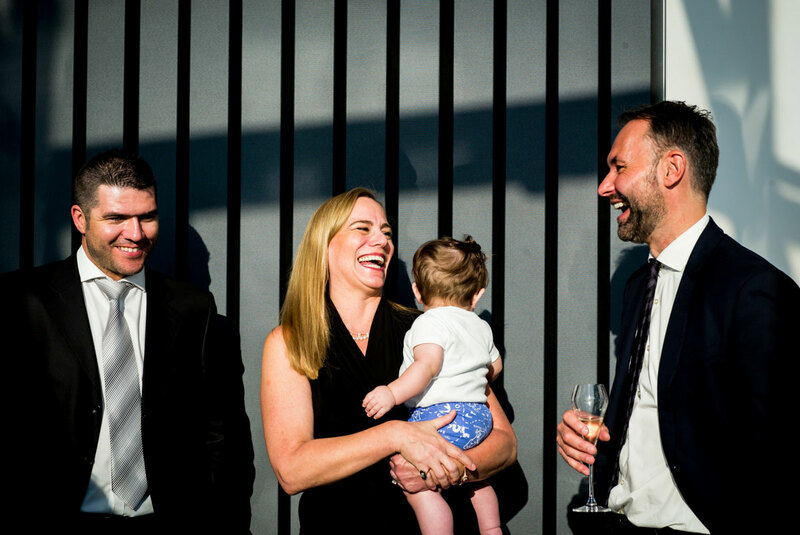 As always with weddings its about the people really, all coming together to charge glasses, make new friends, catch up with old ones and generally to do what folk do best. 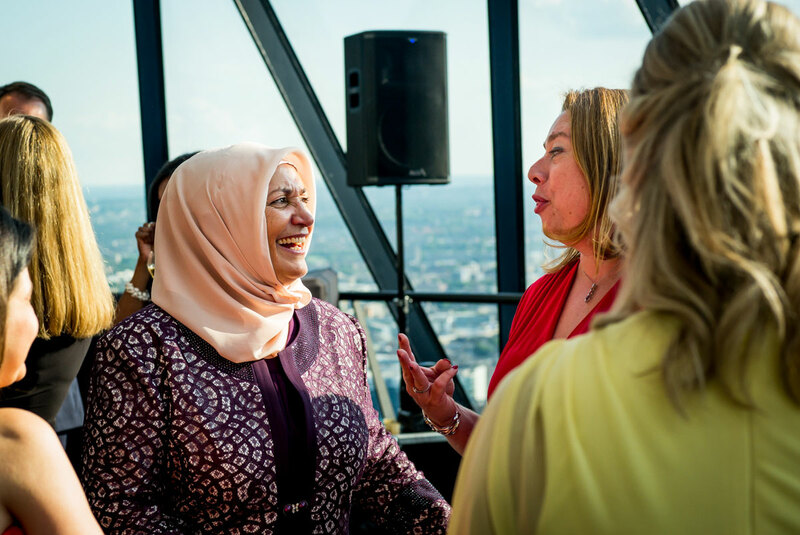 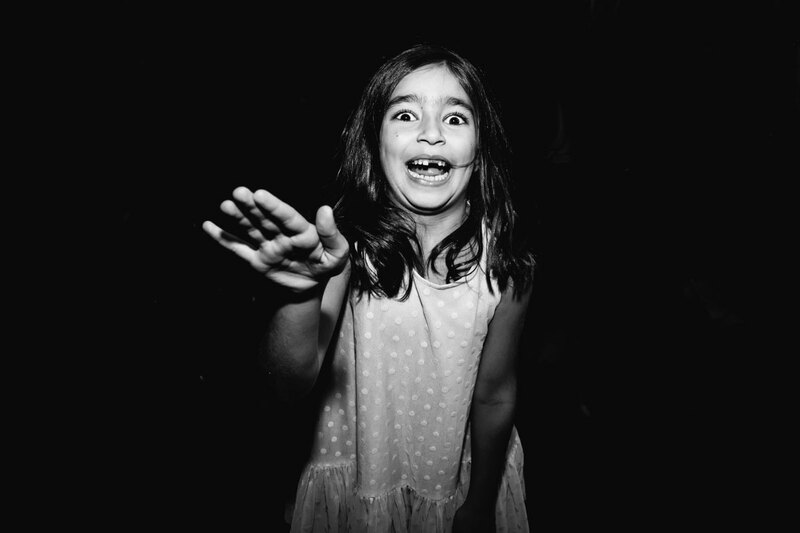 I spoke to Esma during her preps about how surreal it must have been to see friends from Canada laugh and joke with buddies from Singapore, Turkey and London. 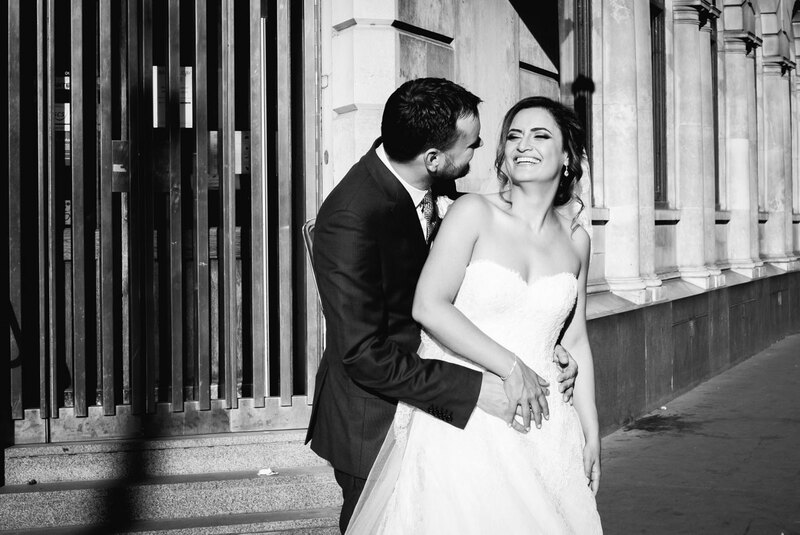 None of which would have met, laughed or joked ever together were it not for to common denominator of Esma & Alex. 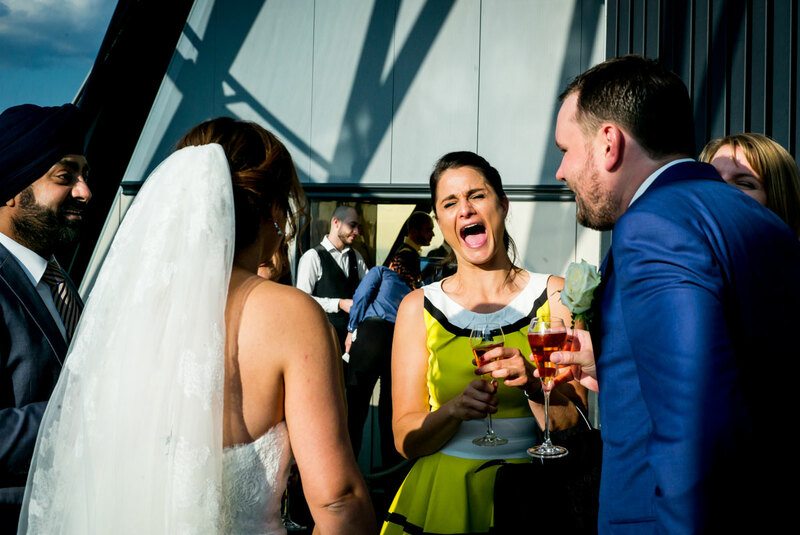 And that’s the point really, you have to be pretty special as a couple to hold and nurture such relationships across all time zones to the point where people will travel to celebrate with you wherever and for whatever and without hesitation. 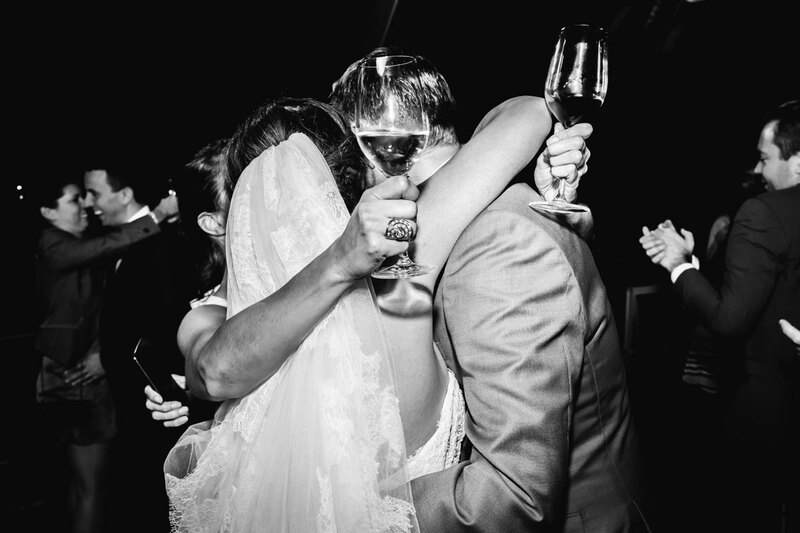 A great testament to any couple.